To paraphrase F. Scott Fitzgerald, the super rich are different from you and me — they keep camels in the conservatory and have playhouses for their children that are bigger than the average American home. There really were live camels kept at the Doris Duke house, Rough Point in Newport Rhode Island. Born as the only child of a tobacco tycoon in 1912, Doris Duke was designated as ‘the richest little girl in the world’ by the press. .Likewise, the Vanderbilt family were the richest family in the USA in the late 19th century. Visiting their Newport mansion on a guided Breakers tour really just highlights what a rarefied world the Vanderbilt lived in. Being a millionaire in an era when the world was not full of billionaires meant Doris Duke and the Vanderbilts had the freedom to do exactly as they pleased. And, they certainly did. Taking Gilded Age Newport mansion tours is an obligatory experience when visiting this Rhode Island town. The American elite at the turn of the 20th Century flocked to Newport for their summer holidays. The mansions are just so surreal in their obvious display of wealth, magnificence and occasional lapse of good taste. 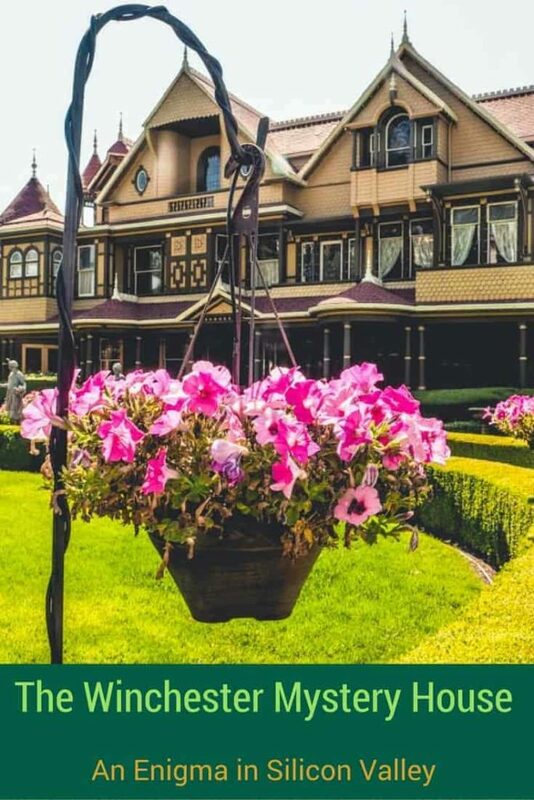 There are several Newport mansion tours each with their own take on this historic slice of American social history. 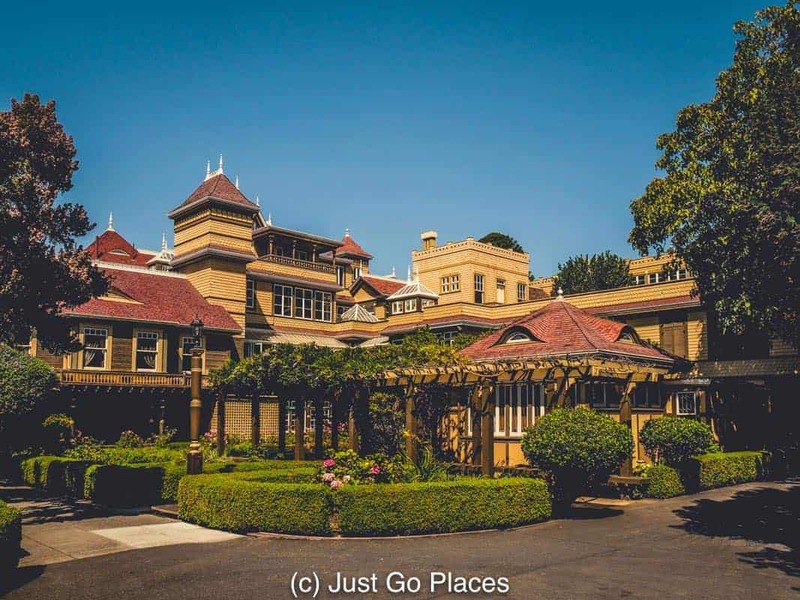 With children in tow though, we had to limit our choices down to two Newport mansion. So we visited one Vanderbilt house (the Breakers tour) and Doris Duke’s mansion in Newport. Rought Point in Newport Rhode Island was built by a member of the Vanderbilt family (Frederick). 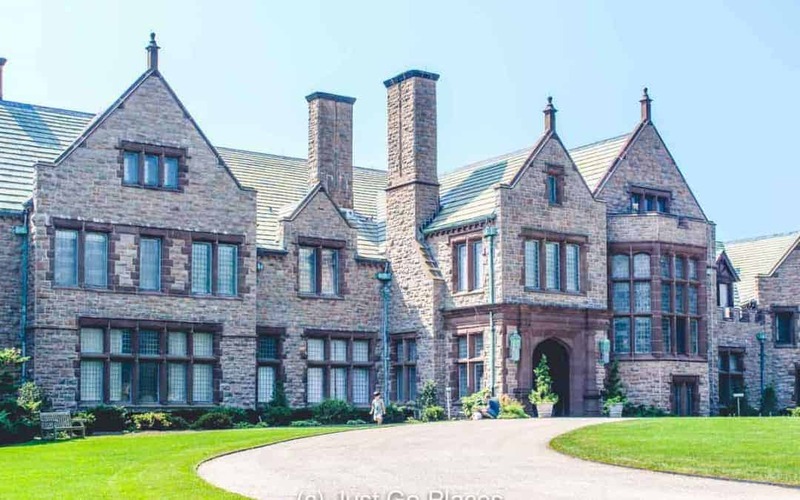 If you think a lot of Newport mansions were Vanderbilt cast-offs, it is probably because they were a large family. For example, Frederick was one of 8 siblings and his older brother built The Breakers. When Frederick tired of Rough Point, he sold it to a tin mine mogul who sold it eventually to the Dukes. 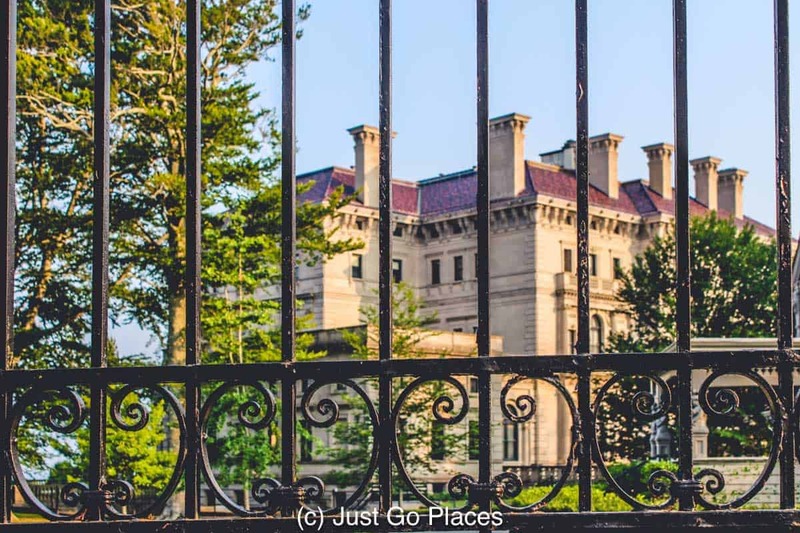 Among the most popular of the Newport Mansion tours, we also visited The Breakers. 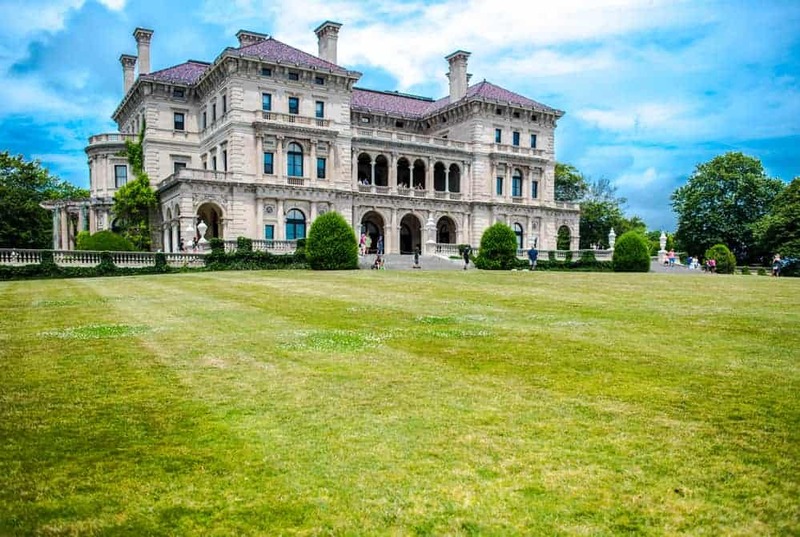 The grandest of these summer cottages, the Breakers Vanderbilt house seems to be one of the obligatory mansions that everyone visits. One of America’s great industrialist families, the Vanderbilt were not only huge in numbers but also rulers of American high society. Fun Fact! 450,000 people visit the Breakers every year! 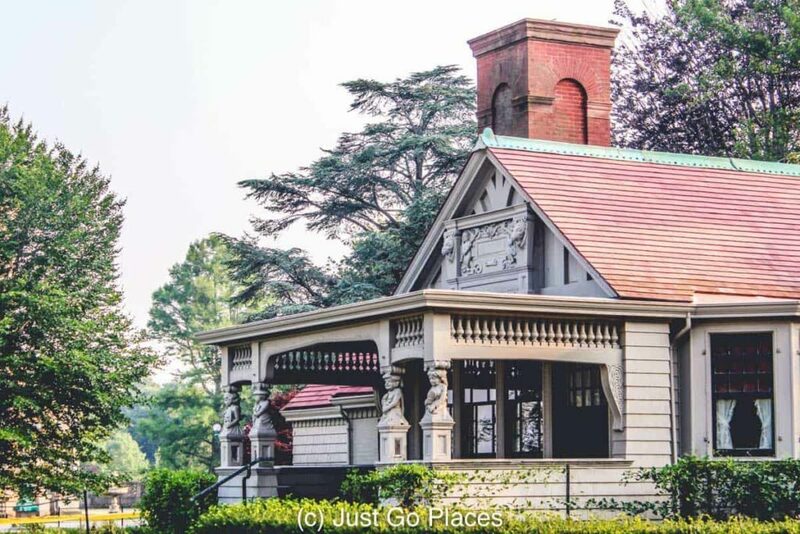 This Cornelius Vanderbilt house was constructed in 1893 at a cost of more than $300 million in today’s money. Built in the Italian Renaissance style, the house is a cold marble mausoleum which is the furthest thing I can think of from today’s idea of a summer home. The Breakers even comes with its own (relatively) apint-sized replica which served as a playhouse for the Vanderbilt kids. Fun Fact! The playhouse is actually about 2400 s.f. which is about the size of the average American home! Needless to say, my kids were super-impressed. 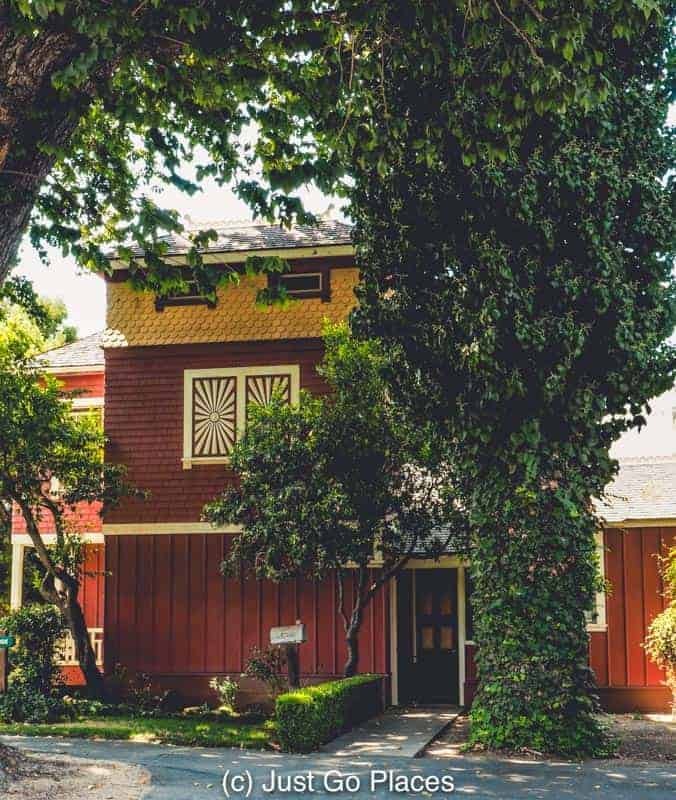 The Vanderbilt children’s playhouse was itself 2000 s.f. in size! That’s the size of many family homes! On the Breakers Tour, my daughter was fascinated with the room in which Consuelo Vanderbilt was locked until she agreed to marry the future Duke of Marlborough in 1895. Consuelo’s mother, Alva Vanderbilt, took no prisoners in securing the family’s social position. The imposing Breakers = gilded cage for the Gilded Age? Consuela Vanderbilt was locked in her bedroom by her mother until she agreed to marry the future 9th Duke of Marlborough. It’s a safe bet that Mama Vanderbilt was as cold as the marble that encased the Breakers Vanderbilt home. Consuelo wrote her sad story down in her 1950’s autobiography, The Glitter and The Gold. Consuela’s sister-in-law was another American heiress, Jennie Jerome, who became the mother of Winston Churchill, Prime Minister of Britain during World War II. Until Consuelo produced an heir and a spare, Jennie’s sons would have been heir to the dukedom and you can bet Alva was not best pleased. Fun Fact! Descendants of the original Vanderbilts still summer at the house on the 3rd floor which remains private. For a fictionalised account of an American Gilded Age Princess who marries an impoverished British Duke, check out The American Heiress by Daisy Goodwin. Conventional wisdom say money doesn’t make you happy and the politically correct response is to agree with this sentiment. On the other hand, money gives you plenty of leeway to be as eccentric as you want. Doris was 12 when she inherited Rough Point (and $80 million) upon the death of her father in 1925. 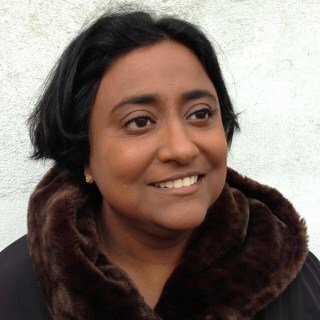 The family money had come from tobacco plantations which her grandfather had scooped up during the chaos that ended the American Civil War. 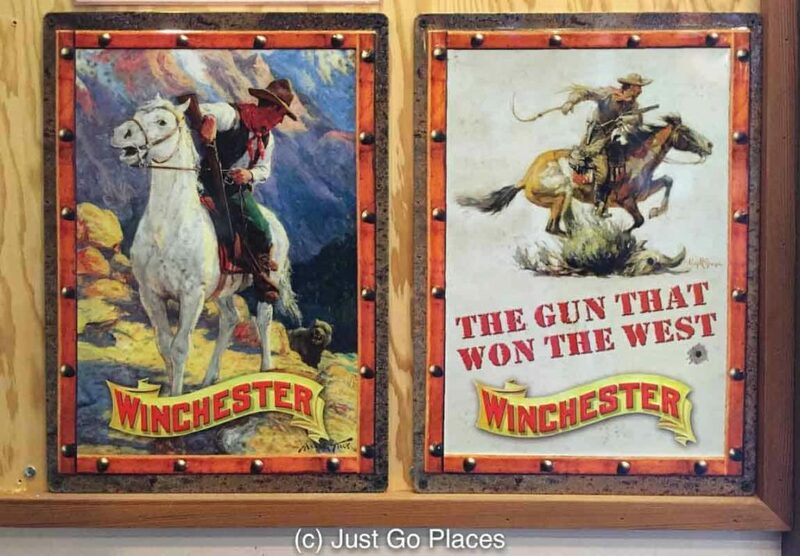 The Dukes lived large but were also generous with charitable donations. The family gave a sizeable donation to a little college in North Carolina which renamed itself Duke University, still one of the foremost universities in the United States today. The public though were fascinated with the scandals that Doris created. She was married three times but also had a child out of wedlock who unfortunately died. She travelled the world, met with mystics and witch doctors, and fell under the thrall of her butler. Doris notoriously ran her car over her interior designer of Rough Point and killed him. Perhaps he disagreed with her flamboyant choice of mother-of-pearl, purple and yellow for the master bedroom suite? Although the police deemed it an accident, she reached a financial settlement with his family in court. The rumour millsreported that she had been drunk. Doris died in 1993 from complications from a facelift she had. She was choking on breakfast and the butler refused to call an ambulance. Doris left the butler control over her entire fortune (approximately $1.2 billion) which lead to a court case. 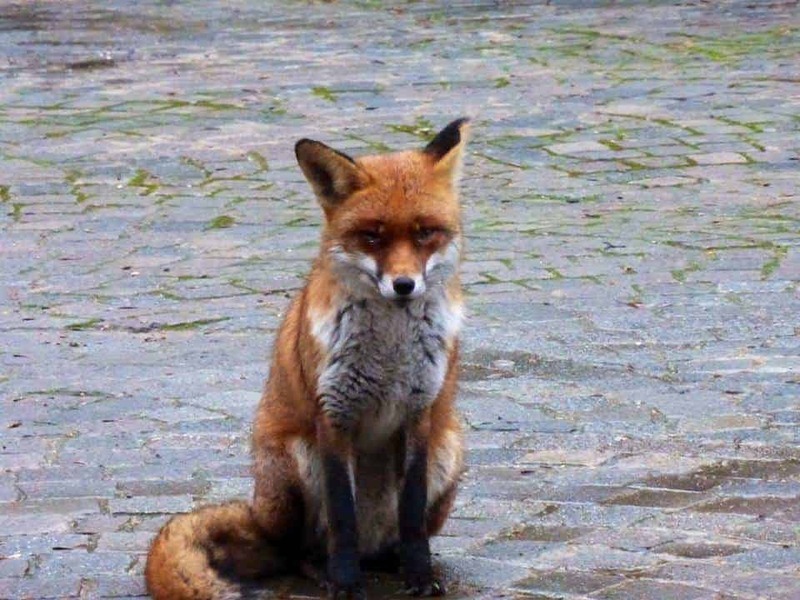 The butler lost the rights to her fortune but the court couldn’t find evidence Doris was murdered. Rough Point was opened to the public in 2000 as a museum upon Doris’ death. Much of the rest of Doris Duke’s money went to her relative, a heroin addict, who had twin children he treated like slaves and locked in a basement. Thank goodness there is plenty of money still left for good therapy for those children. Rough Point was built in the style of an English country house in the late 19th century and named after a promontory on the cliffs it overlooked. When the Dukes purchased the house, they enlarged the outside and modified the interior. Rough Point has 115 rooms so there are plenty of spare bedrooms. Rough Point, built to resemble an English Manor house, has 115 rooms. The Doris Duke mansion tour itself was a great experience because they are lead by tour guides. Our guide was great with our children (keeping them engaged with look and find questions). There’s plenty of details for the kids to search for. She was also a knowledgeable source of information for the adults. Doris was a shrewd businesswoman and managed to increase massively the inheritance her father left her. She used some of that money acquiring fabulous art and antiques for the home, much of which is still available to view now at the Doris Duke house in Newport Among the many treasures are paintings by Renoir, van Dyck and Gainsborough, Belgian tapestries and Chinese porcelain. It seems that Americans have long been fascinated with importing crumbling European architecture to the USA. The grand staircase was imported in whole from an English manor house and installed at Rough Point. The stained glass depicts the coats of arms of the signers of the Magna Carta. Likewise, the wood panelled rooms had the panelling imported from an English manor house which was being stripped. One such room is the Great Hall which is effectively used as an art gallery. The conservatory was supposed to have been Doris’ favourite room. The conservatory has fabulous views over Doris Duke estate to the Atlantic Ocean. The gardens were laid out by Frederick Law Olmstead, the renowned landscape architect famous for designing Central Park in New York City. 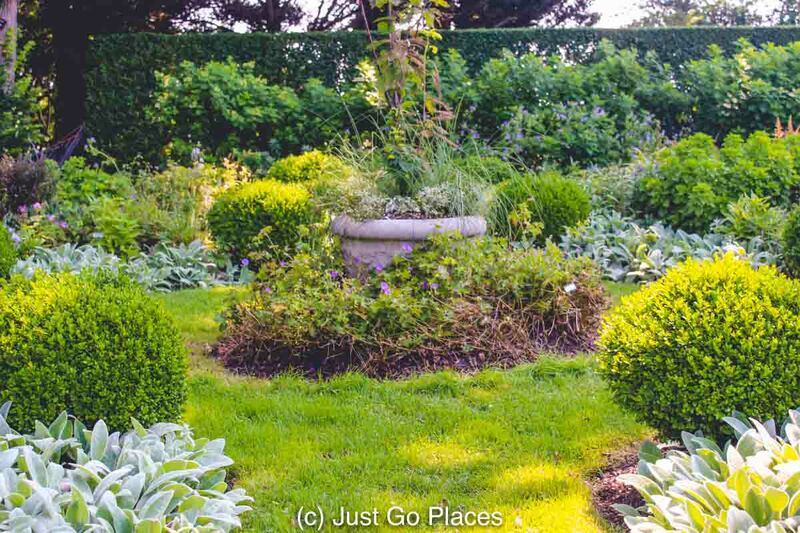 The gardens at Rough Point were laid out by Olmstead the same architect who designed Central Park in New York City. 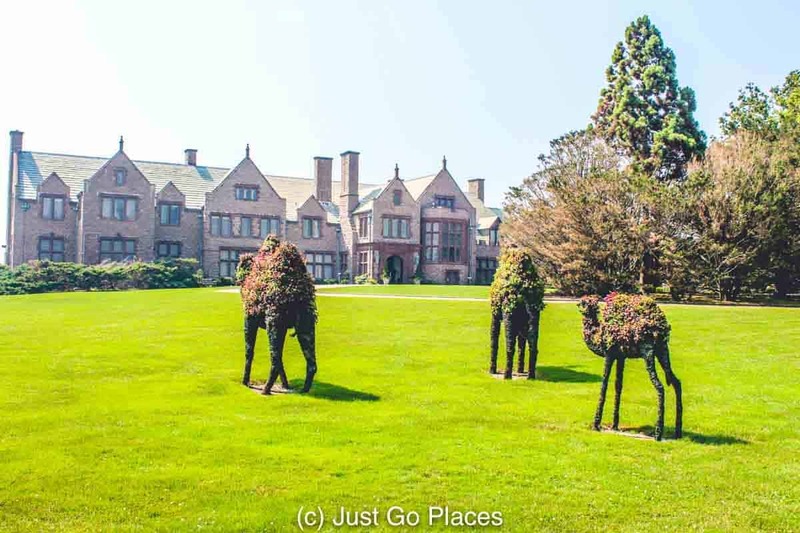 So, why were there camels at the Doris Duke house in Newport? Doris purchased planes from Adnan Kashoggi (Saudi Arabian business man and international arms dealer) and insisted 2 camels be thrown in as well. She got the planes but not the camels. What’s an eccentric heiress to do? She went and bought her own 2 camels and billed Kashoggi for their cost. The camels travelled in a horse trailer up from her New Jersey mansion to summer in Doris Duke’s Newport mansion. Doris Duke kept her camels, named Baby and Princess, sheltered in the conservatory of Rough Point during a hurricane in 1991. The rest of the time they had their own sheltered tent just outside the conservatory. A little window in the room (a “camel port”) let people feed them treats. Fun Fact! The camels were infamous for chasing the security guards around the grounds for the occasional bite. Camel topiaries in honour of Doris Duke’s beloved pet camels. The camel topiaries no doubt keep the spirit of Princess and Baby at the house (and the security guards on their toes). Rough Point on the famous Bellevue Avenue is definitely worth seeing. It provides a counterpoint to The Breakers Vanderbilt extravaganza. The Vanderbilts may not have liked it, but there were other rich people in the USA! 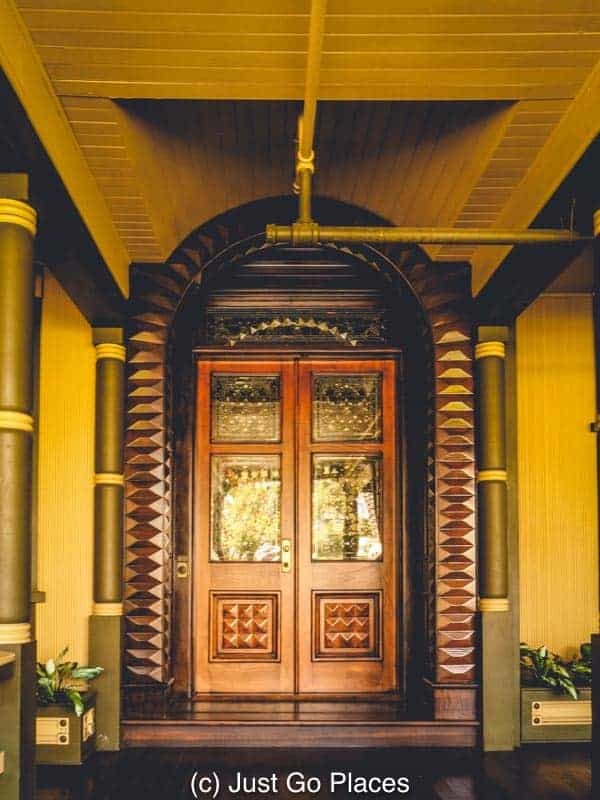 The Doris Duke Mansion tours are limited to 12 people at a time and are available from May to November. Mercifully, there is no gift shop you have to drag the children out of because Doris though gift shops were tacky (yay!). The Breakers is open daily from May to March annually except Thanksgiving and Christmas Day. For the summer of 2018, a Welcome Center was opened at The Breakers. 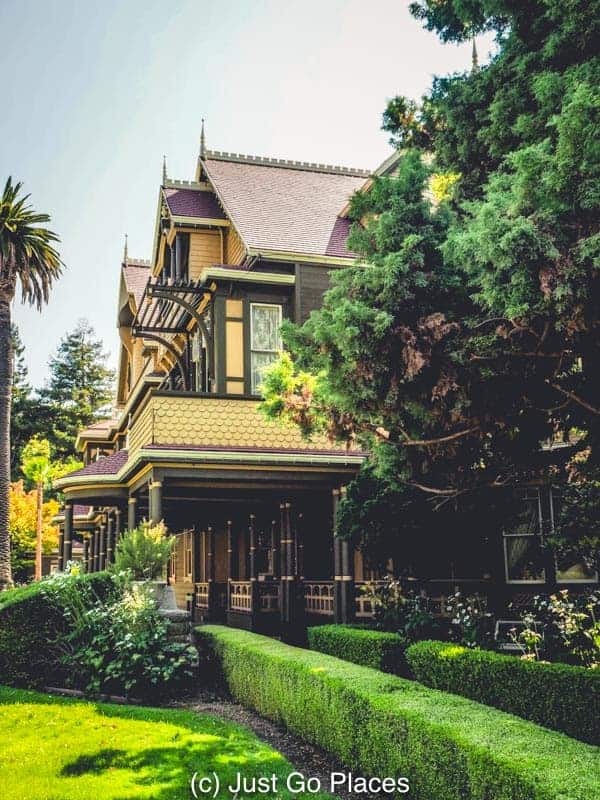 In addition to the main house tour, you can sign up for a Beneath the Breakers Tour which explores the life of the servants who kept this grand mansion humming. The hotel where we stayed, the Grace Vanderbilt , was also another Vanderbilt mansion the family discarded. After all, no visit to Newport would be complete without some tangential Vanderbilt connection. Check out the excellent reviews for the Grace Vanderbilt on TripAdvisor! 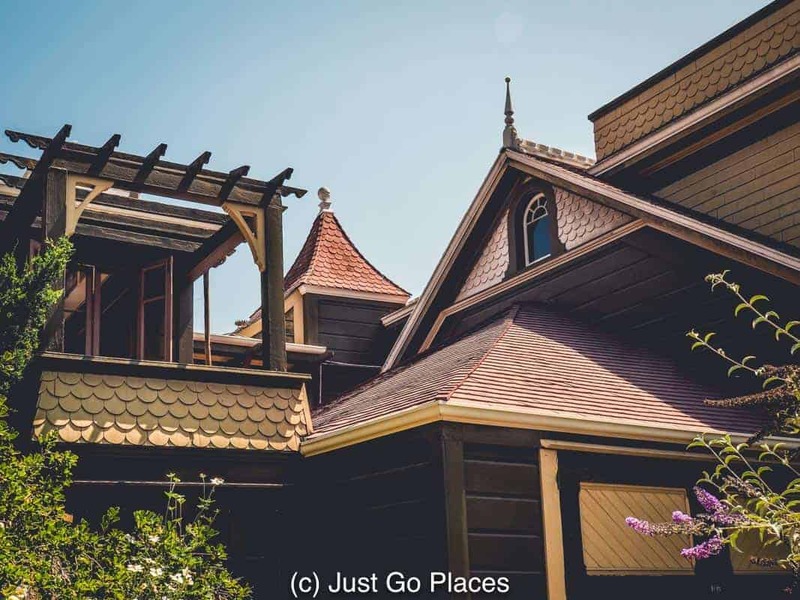 Newport Rhode Island is known for its Gilded Age summer cottages. 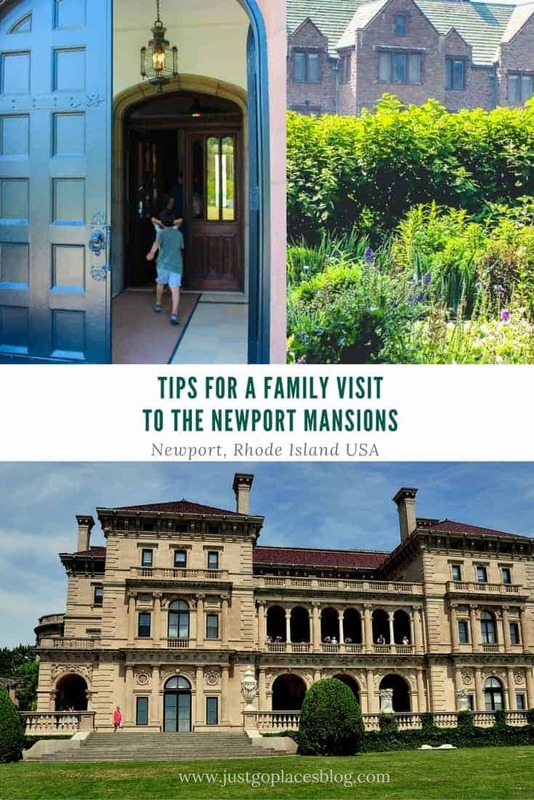 There are several ways though to make a Newport mansion tour fun for kids. 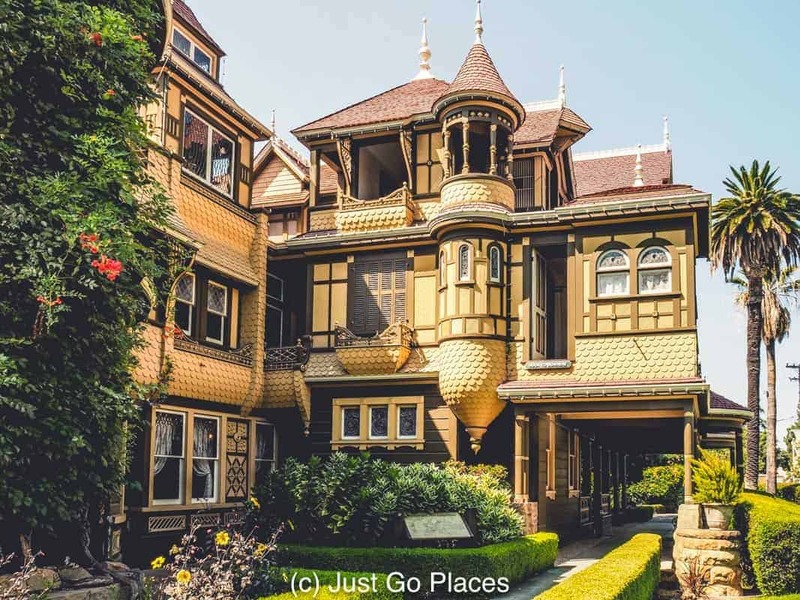 There are so many Newport mansion tours and you should choose just a couple of mansions. The mansions themselves are massive with lots of art and objects d’art and so not the easiest of topics to engage children. First, The Breakers because it seemed an obligatory Newport mansion tour and it had the ginormous children’s playhouse. We also went to the Doris-Duke house because it was a non-Vanderbilt mansion and we thought the kids would like the camels connection. Take the Newport Trolley to Bellevue Avenue because that is very cute and the kids will like it. It’s easy to walk between the Breakers and the Doris Duke house. We took part of the Cliff Walk in between our mansion visits. Clambering around on rocks was fun and also expended some extra energy. You can get on the Cliff Walk by Bellevue Avenue and it is basically between the mansions and the ocean. For extra fun, there is a little bridge over the water where the Cliff Walk meets the Doris Duke estate. Bonus: Lots of lawn space in front of the Newport mansions for the kids to have a run. 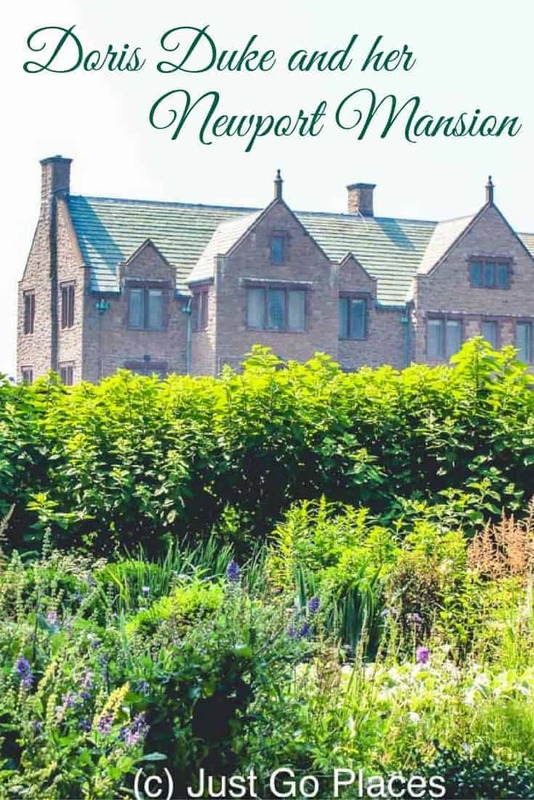 Tips for making a visit to the Newport Mansions fun for the whole family. On a cold rainy day, I visited Highgate Cemetery on a whim. I took a guided tour by a volunteer guide who regaled us with fascinating tidbits of history. Divided into two parts, east and west, Highgate Cemetery is one of the great monuments of London. 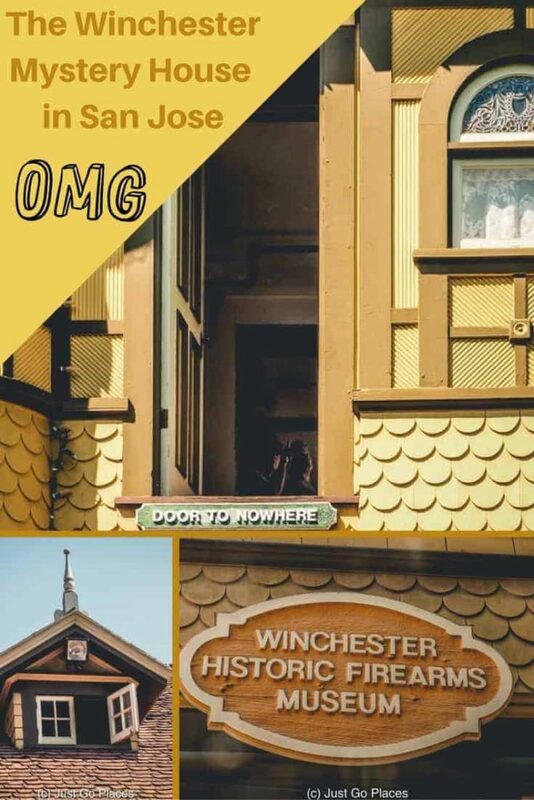 It is Grade I listed by the National Heritage List of England (the highest architectural historical honour a monument can be given because they are of exceptional interest). 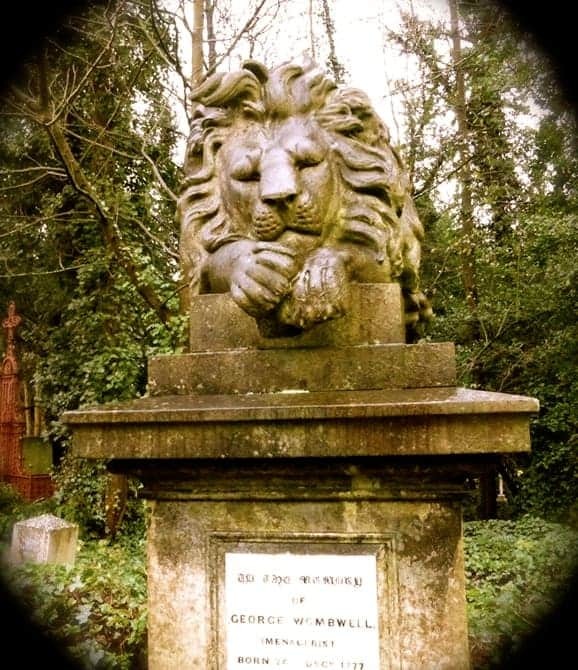 One of the so-called Magnificent Seven, Highgate Cemetery in North London stands testament to the depressing fascination of the Victorians with death, mourning and keeping up appearances. 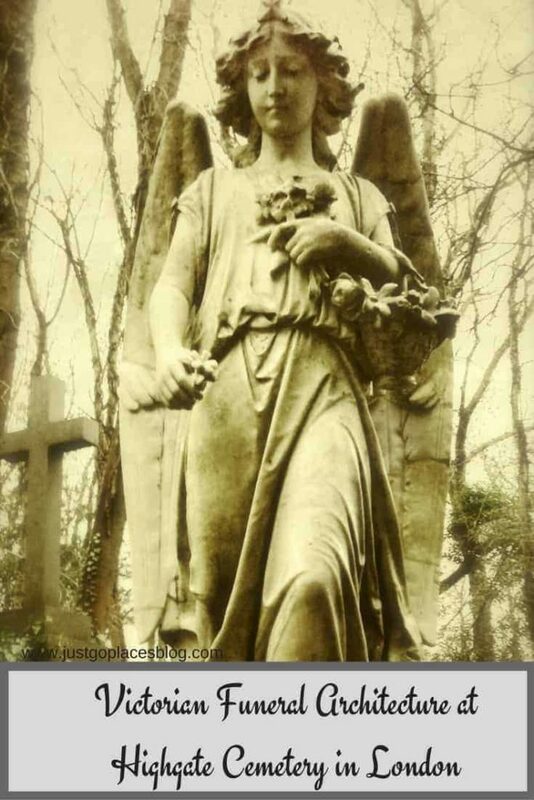 One of the Magnificent Seven, Highgate Cemetery is renowned for its architectural history. Prior to the early 19th century, all of London’s dead were buried in local parish churchyards. As the population grow, this method lead to overcrowding and unhygienic disposal of corpses. People literally would just bury the dead in ditches near their homes. Traditionally, wealthy people would bury their dead in their family cemeteries on their country estates. Neither the poor nor the growing middle class had the luxury of this option. So London was just getting more crowded until finally a cholera epidemic prompted the authorities to act. In 1832, a Parliamentary encouraged the creation of private cemeteries in the outskirts of the city. 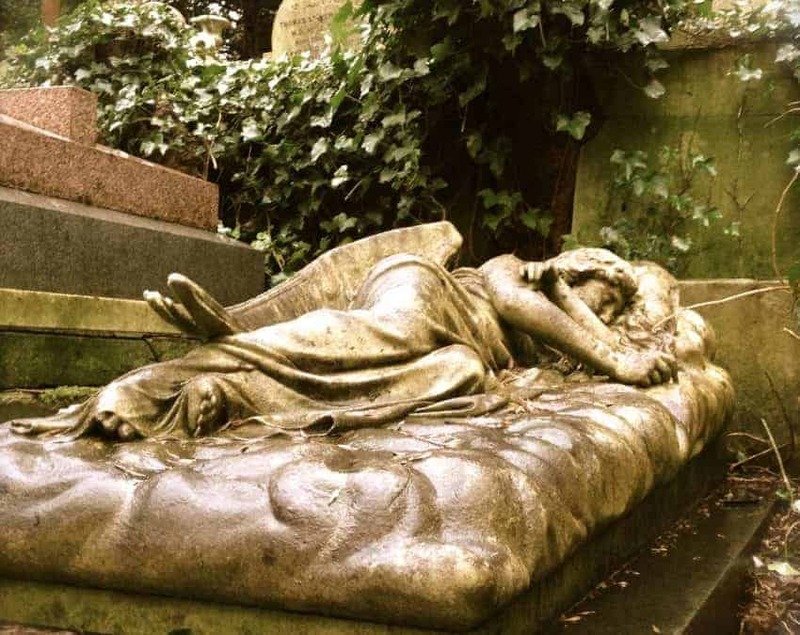 They were inspired by the famous Parisian cemetery, Pere Lachaise built in 1804. Eventually seven such cemeteries were built – Highgate, Nunhead, Brompton, Abney Park, West Norwood, Tower Hamlets and Kensal Green. The term Magnificent Seven was given to the Victorian cemeteries in the 1980’s by an architectural historian. 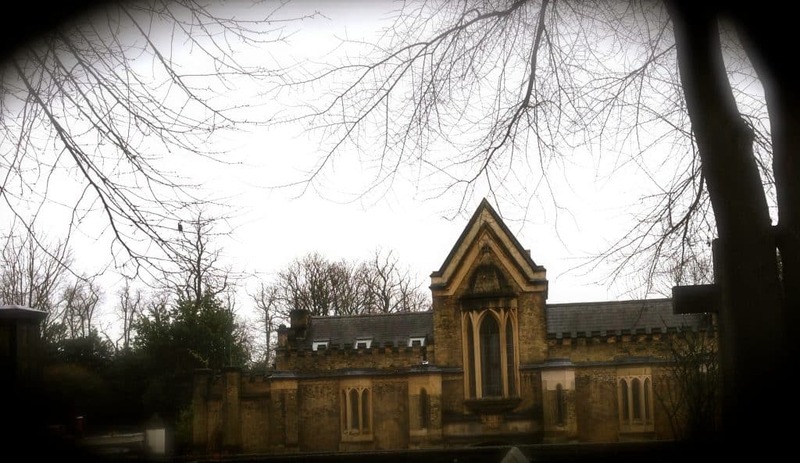 The Victorian architecture of Highgate Cemetery seems very grand to us. The tree lined paths of Highgate Cemetery would have been seriously posh for Victorian times. 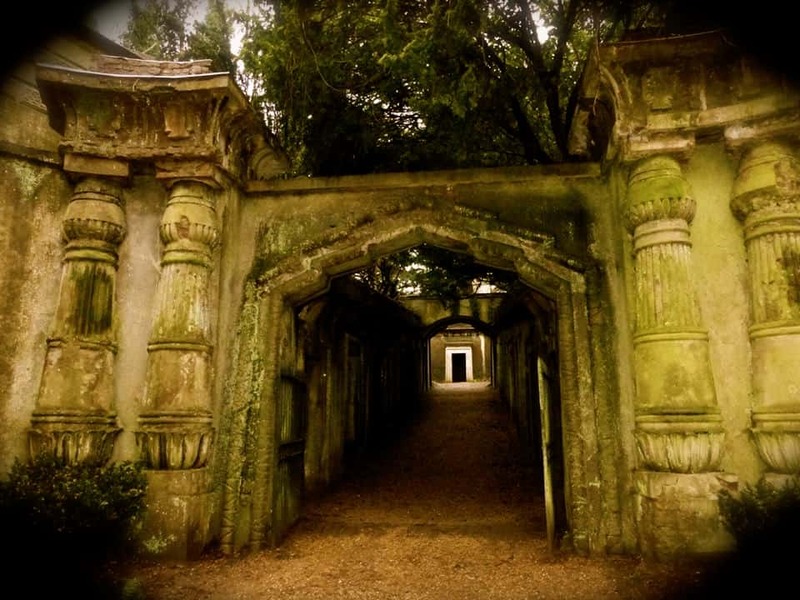 Highgate Cemetery was opened in 1839 and soon became a fashionable place to visit. 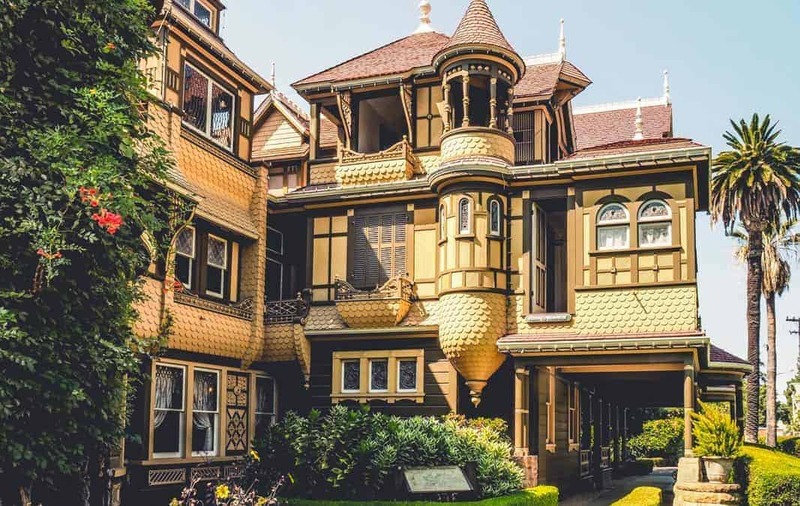 Set in the beautiful countryside, the Victorians would make day trips to the cemetery to visit their dead relatives and picnic in the grounds. The Victorians had elaborate ceremonies for funerals and mourning. The lead example of mourning was Queen Victoria who wore black mourning clothes for 40 years after the death of her husband. There were even manuals that laid out the specifics for mourning etiquette (e.g., how long to wear mourning clothes for your first cousin by marriage twice removed). The Victorian headstones are elaborate because they were a way to show who much grief and love they were feeling. A happy accident, of course, was that you were also able to flaunt your wealth and engage in a bit of pageantry. You had elaborate funeral corteges with black horses pulling carriages of mourners and the hearse. There were also mourners paid to follow the hearse looking suitable sombre. No one is happy. Not even the angel. And even if the deceased were Scrooge incarnate. In an age of prosperity where more people than ever were living longer than ever, the Victorians were really obsessed with the frailty of life. Many grave monuments were carved to depict life being cut short – broken columns, draped urns, etc. Besides, after the funeral cortege side-show arrived at Highgate Cemetery, you couldn’t just dump granny in any old grave. Lots of monuments each telling a story. I thought the Victorian tombs were beautiful, especially in the sombre light of the grey day. Notable people who are buried here include: Henry Gray, the author of Gray’s Anatomy (not the TV series!! ), Charles Cruft, the founder of the Crufts Dog Show, Christina Rossetti, poet, and the parents and wife of Charles Dickens. We get it. Even the angels are weeping. This man loved his pet lion. No, really. He was in the circus. A cross? All you got me was a carved cross? Even the lion tamer got a lion. The Victorians created Egyptian Avenue because interest in Ancient Egypt was very fashionable at the time. Its main feature is a giant cedar of Lebanon tree which had been in the manor grounds from which the land was purchased. Egyptian Avenue was meant to impress. 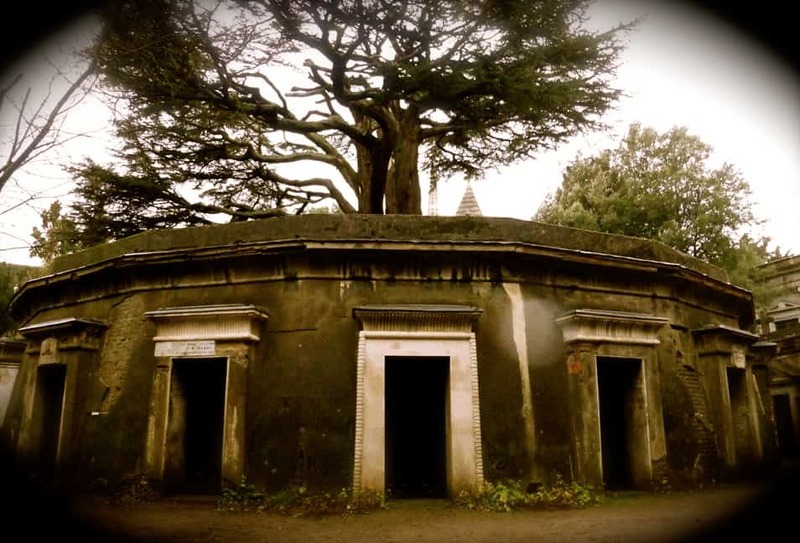 The giant cedar of Lebanon looms over the graves. Highgate cemetery now has over 170,000 people in 50,000+ graves. 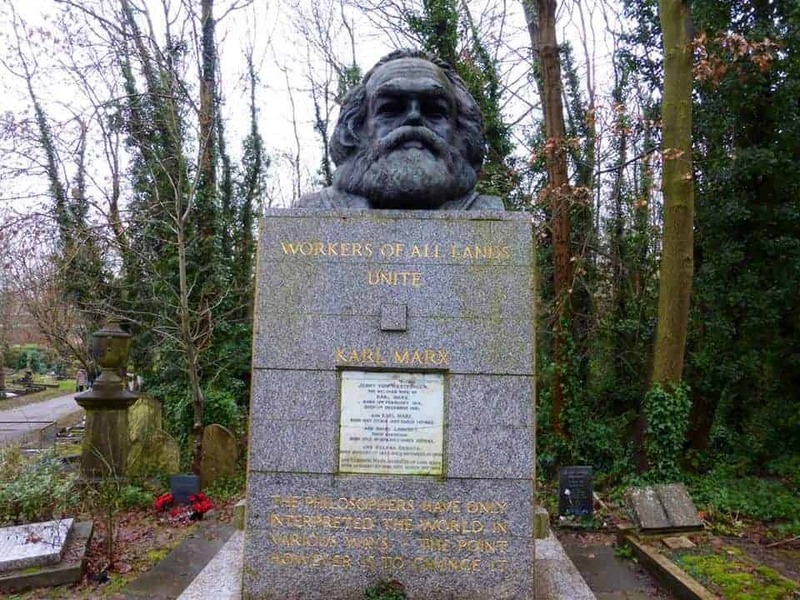 The most famous person buried in Highgate Cemetery is Karl Marx (on the Highgate East side). I thought his tomb was one of the less attractive ones. The giant head looming over everything is, in fact, a bit disconcerting. Karl Marx, has a ginormous head stone, marking his last resting place. You know what’s funny? Marx being buried in Highgate which is full of the middle-class capitalists that he despised. You would have to search hard to find any members of the proletariat like he intended (factory workers). At least he is in the vicinity of the nannies, drivers, housekeepers etc. which can substitute for his proles and the wealthy champagne socialists that hire them. I was surprised to learn that the cemetery still accepts corpses for burial. With the changing demographics of North London, it has become popular with the Russians. I saw the tomb for Alexander Litvinenko, the Russian who was poisoned using polonium in 2006 in what is widely believed to be a Russian-government ordered execution. He was buried in a lead-lined coffin so that the poison wouldn’t leak into the environment. The cemetery staff feed the pack of urban foxes who hang out in the cemetery. 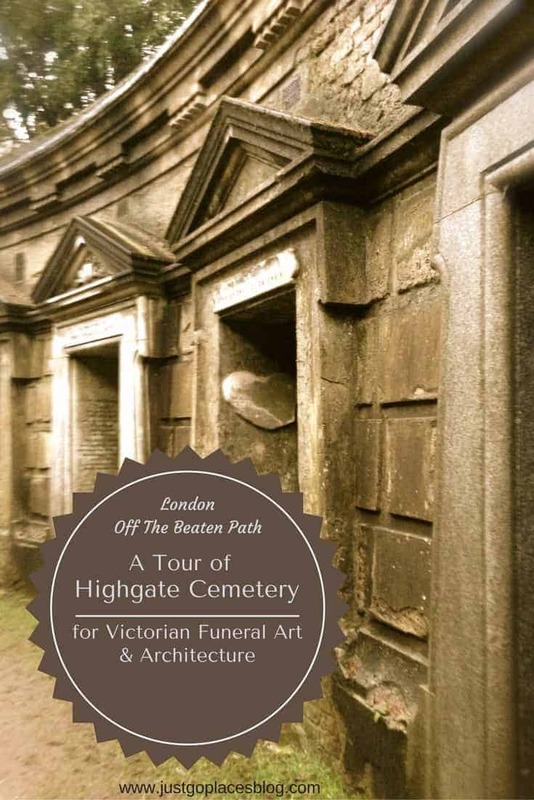 You can book tours online for Highgate Cemetery directly at their website. 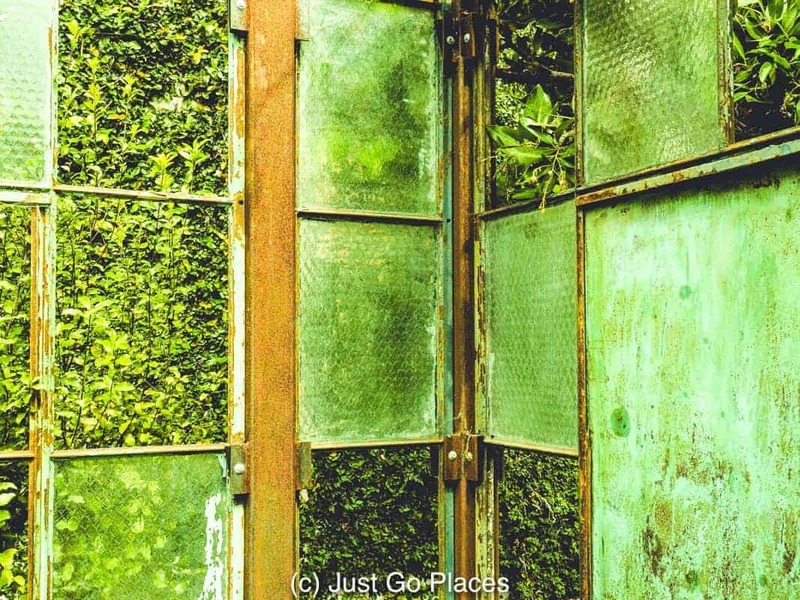 You can only visit the Highgate West side (which is the most overgrown and architecturally interesting) on a guided visit. I really enjoyed my visit which was fascinating and educational thanks to the excellent guide/volunteer who really knew his stuff. 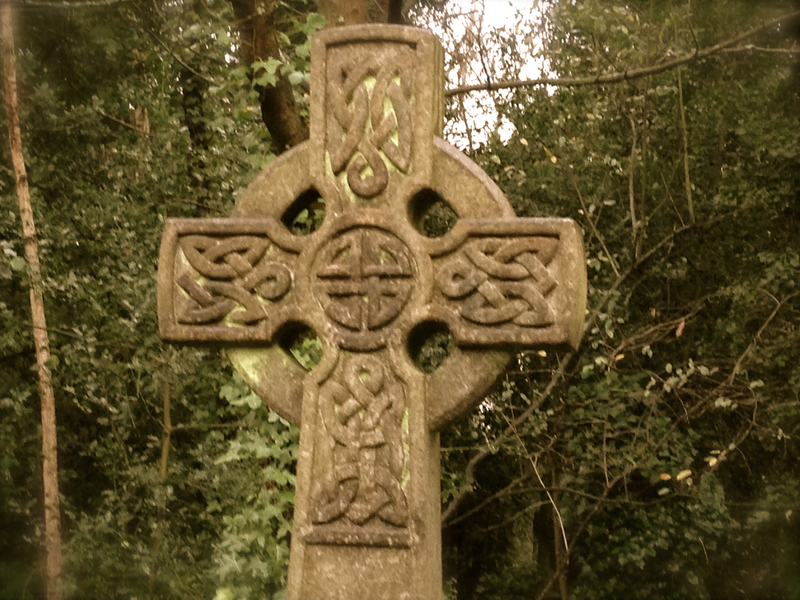 Something off the usual tourist path – A tour of the Victorian Highgate Cemetery. 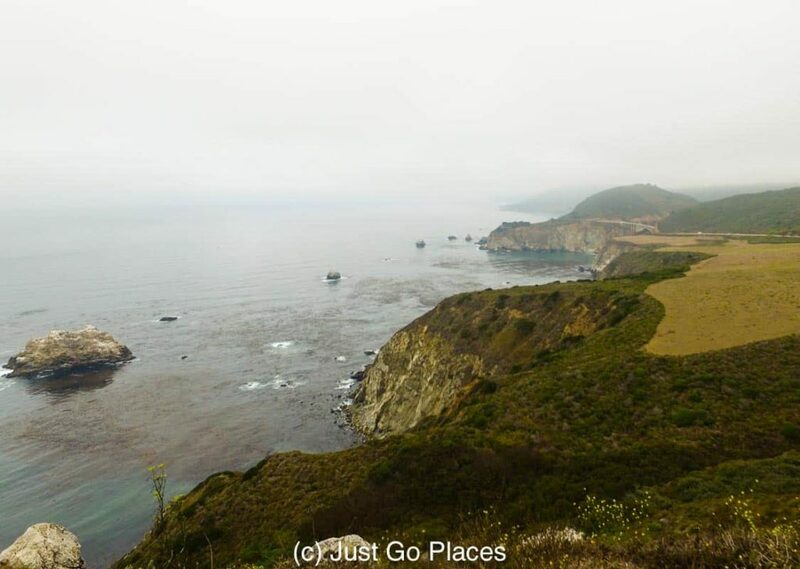 The famed landscape of Big Sur in California is nearly vertical with the Santa Lucia mountains behind you and the rocky cliffs to the sea in front of you. 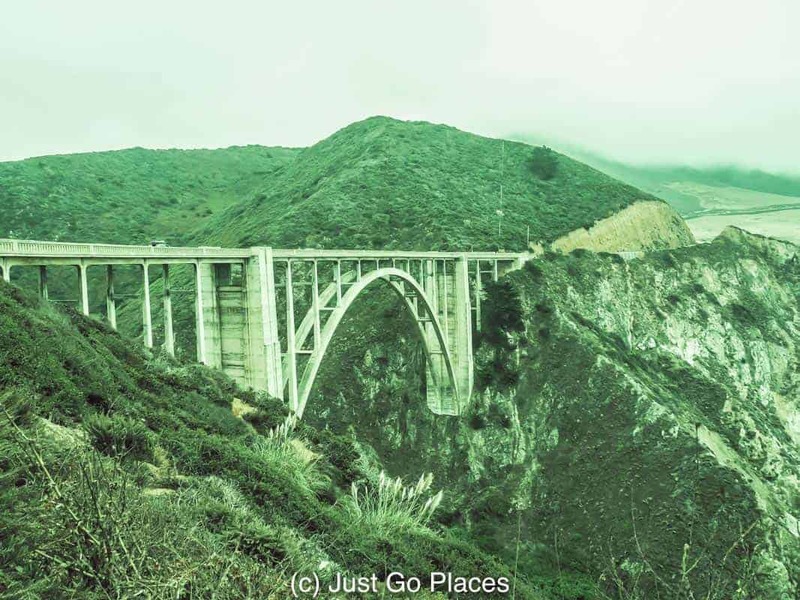 On our Pacific Coast Highway road trip through Big Sur this summer, both natural and man-made marvels were spread out before us. The PCH is merely a strip of masking tape stuck onto the side of the mountains, a thin man-made edge where tourists flock to peer over the sheer drop to the ocean below. We did the drive over the course of a day (primarily because the luxury accommodation in the area is not family-friendly). Moreover, my kids were over the rugged natural beauty of the coastline after an hour. (“It’s just trees!” “Why is there no WiFi?” “Can we have our iPads?”). Heathens. 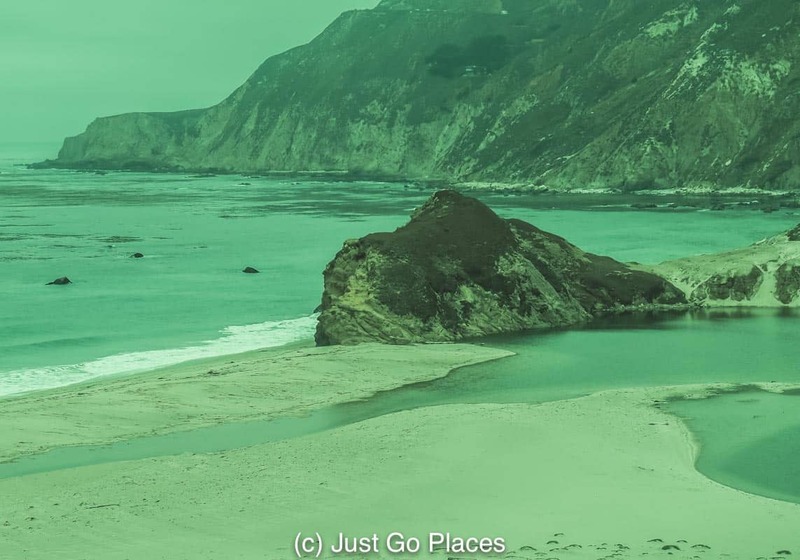 A photo gallery of our Pacific Coast Highway road trip through Big Sur. 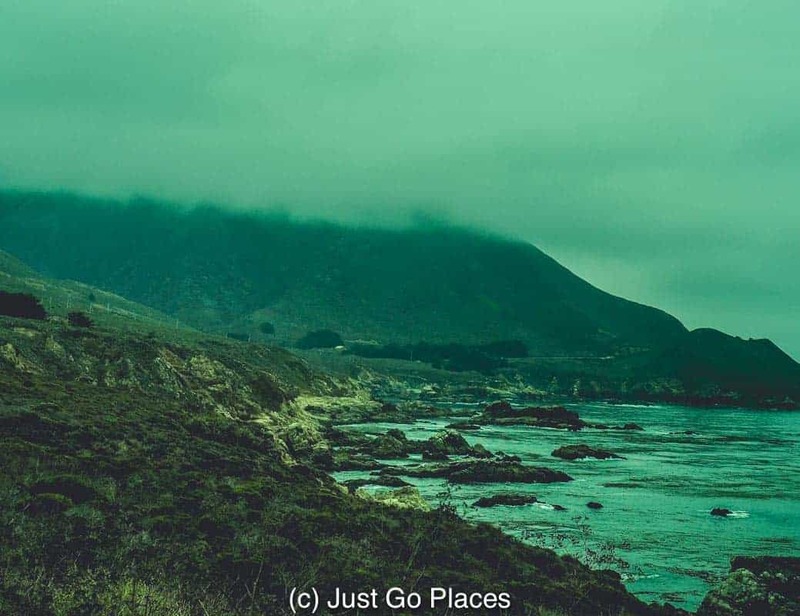 I’ve always wanted to see Big Sur ever since I saw some of Ansel Adams’ photographs of the area as a child. Ansel Adams lived on the Monterey Peninsula in the mid-20th century for over 20 years which gave him plenty of time to photograph the area. Adams was instrumental in protecting Big Sur as a conservation area for future generations. 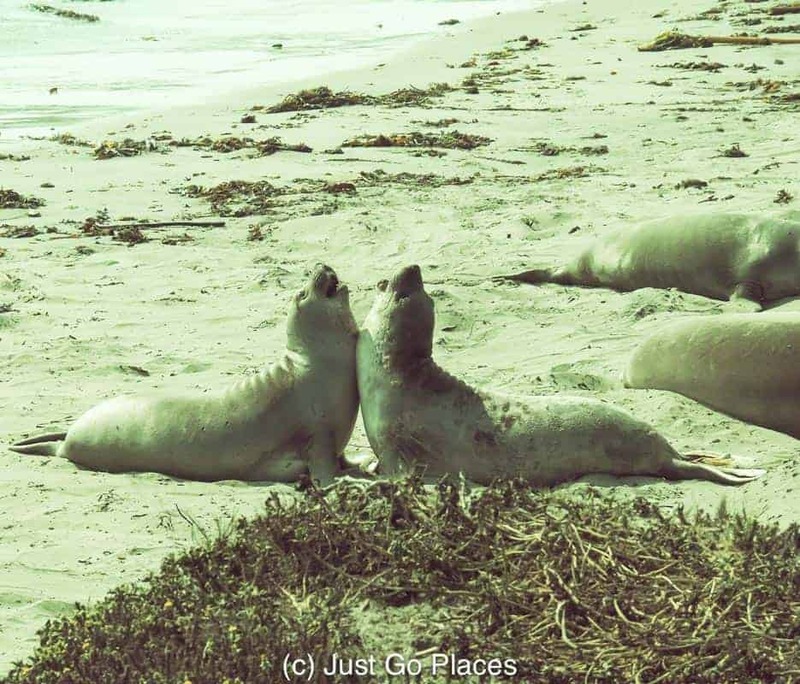 If we join together to accomplish the preservation of our Big Sur Coast I will feel I have had a life fully lived. 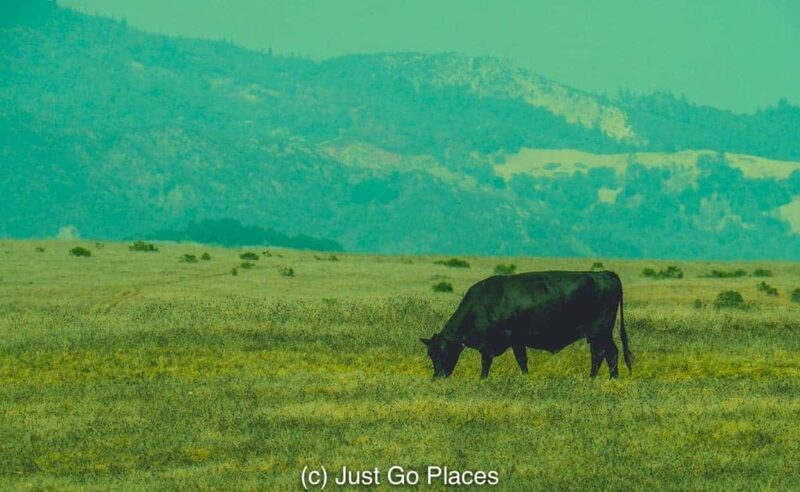 This quote comes from a man who is a legend for his black and white photographs of the American landscape! You may not recognise the name but you will probably recognise some of his photos if you see them. 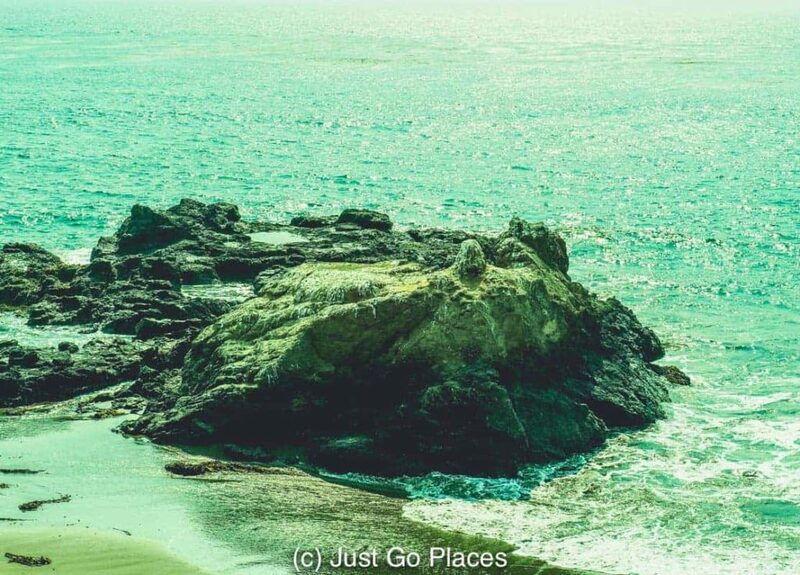 Big Sur is a 90 mile stretch between Carmel and San Simeon along the central coast of California. 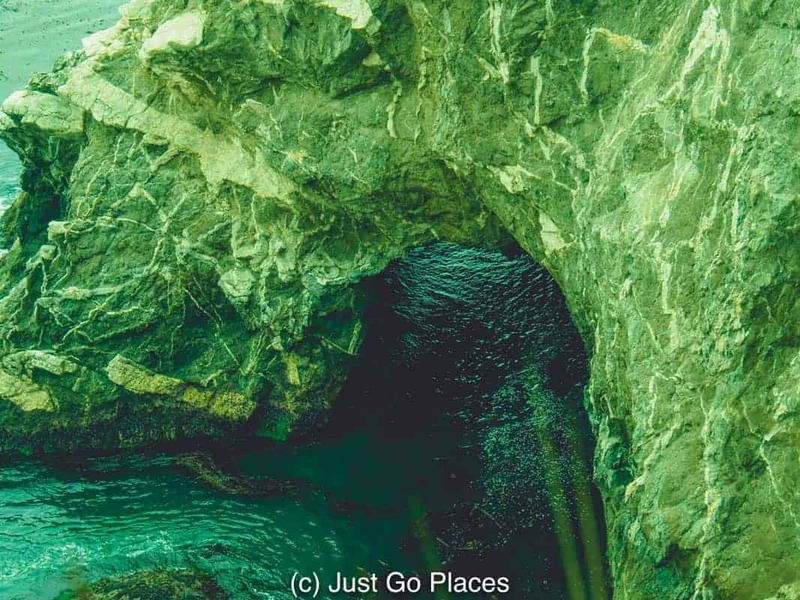 Approximately 3-4 million tourists take this Pacific Coast Highway road trip through Big Sur. There are plenty of road-side pit stops you can make to take in the fantastic views. 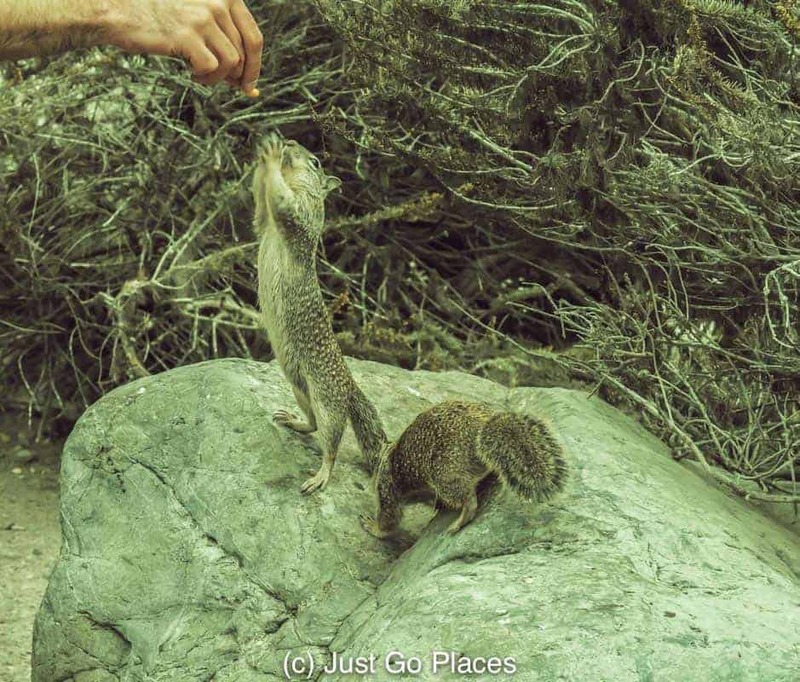 We only stopped for lunch in Big Sur because the state parks were all closed when we visited. There were two major forest fires in the area. The Santa Lucia mountains shrouded in mist. Lots of secluded beaches because it’s pretty hard to get down to them! Rock carved by the steady lapping of water. Built in 1932, the concrete spans of the Bixby Bridge are widely photographed. The rugged coastline kept most settlers away until the the 1960’s. The rugged coastline were the sea and the mist meet on the horizon. This is the sort of shoreline that really needs a lighthouse. More sand, sea and rocks. Repetitive but still pretty. My kids though the chipmunks were the cutest. Too much Alvin & the Chipmunks I think. We could have watched these two play all day. The mountains recede further from the coastline as you reach St Simeon. 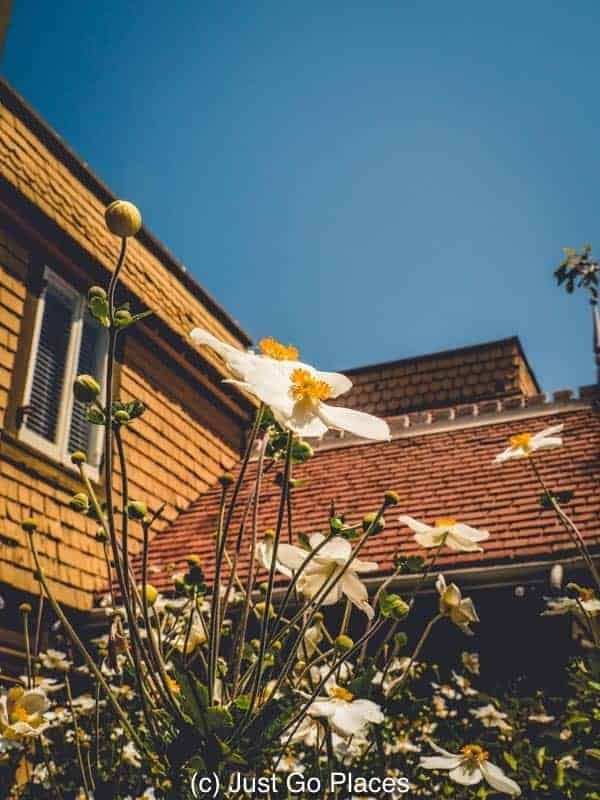 Nepenthe has been a local institution since the 1940’s when the Fassett family bought the building from Orson Welles and Rita Hayworth. Falling in love with the view, the two Hollywood stars had built a cabin getaway on the site. The love shack never got used because they divorced in short order. Nepenthe is still owned and operated by the Fassett family. The current building was built by a student of Frank Lloyd Wright according to the vision of the Fassetts. 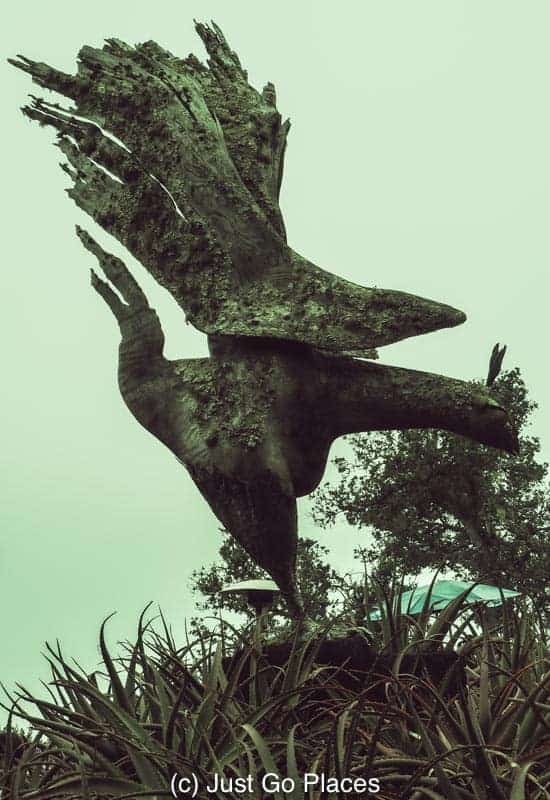 The Phoenix statue which is the symbol of Nepenthe. Nepenthe is famous for its burger which we thought was pretty good. It’s a big rambling restaurant with fantastic views and decent food. Overall, I thought the place lived more on its bygone hype and the fact that there are limited places to eat in Big Sur. There’s usually a wait for the restaurant but you can easily kill time wandering around outside and in the fabulous gift shop downstairs. You can see how big the forest fire was in the summer of 2016. 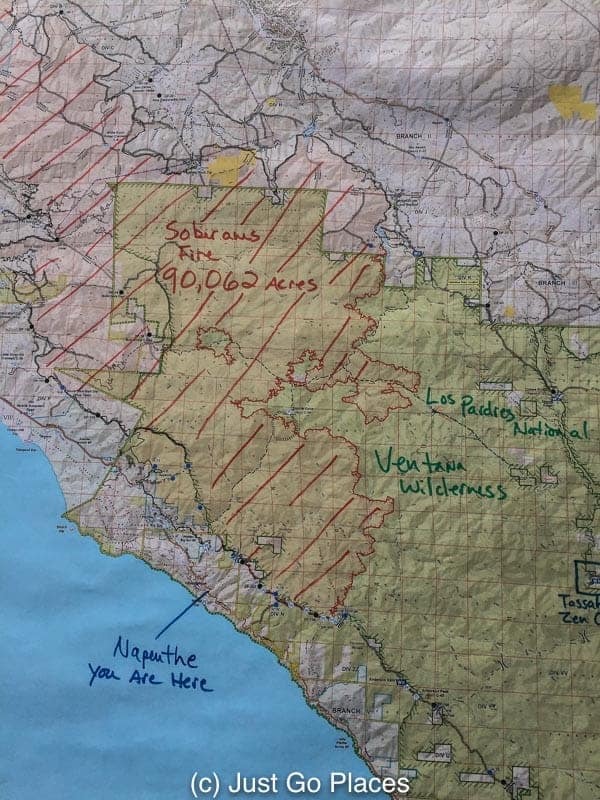 90,000 acres under threat! 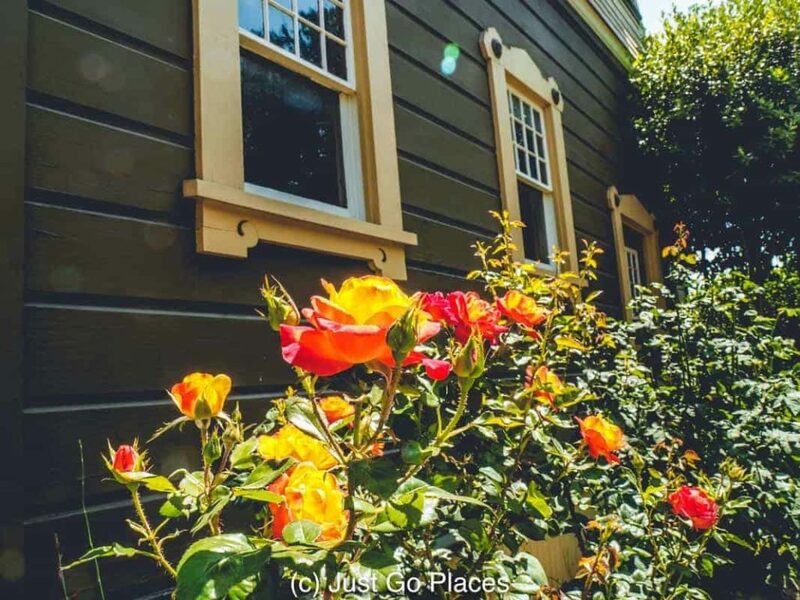 Thanks to its conservation status, there are only a few places to stay in Big Sur. 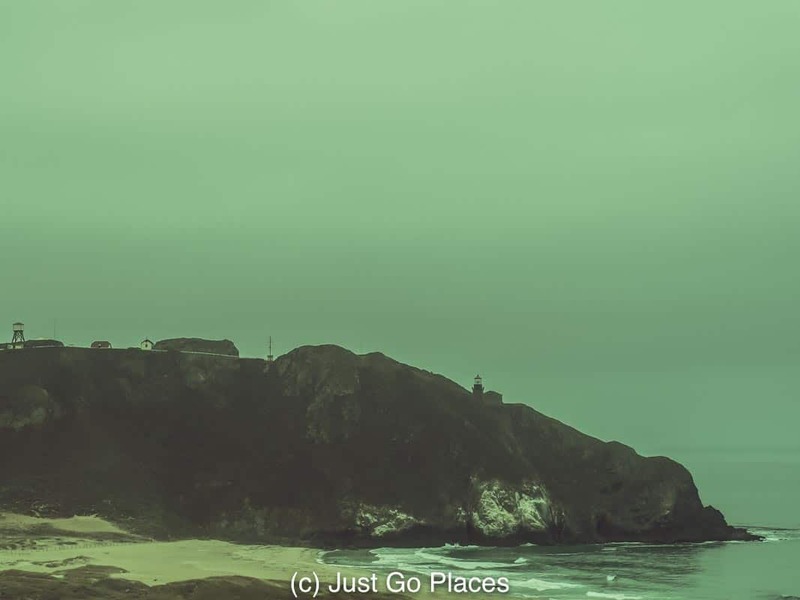 There are campgrounds in the state parks as well as some nicer hotels in the area. The area has limited WiFi. 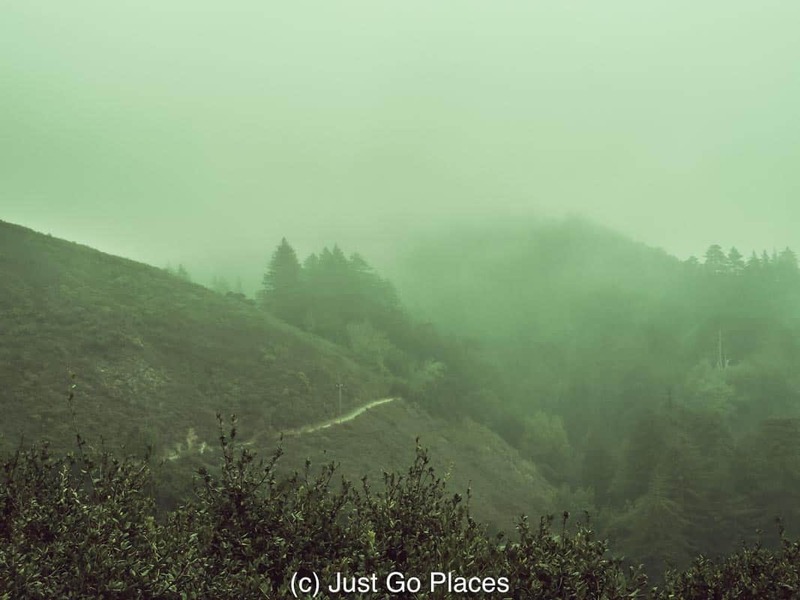 If you want to stay in Big Sur in relative comfort, it’s a good idea to ditch the kids. 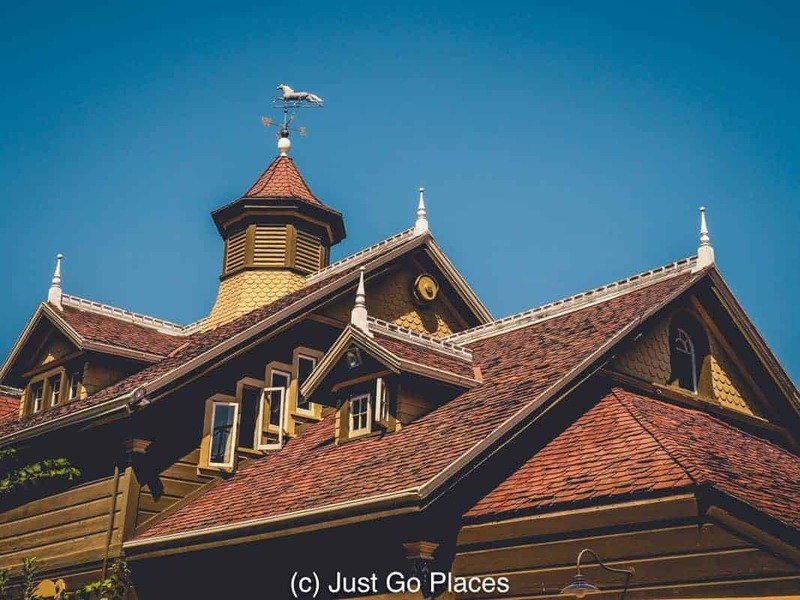 Both the Ventana Inn and Spa and the Post Ranch Inn takes rustic chic to new levels. Both luxury hotels are also adults-only. The Ventana Inn and Spa was built by writer Lawrence Specter from his proceeds from the iconic film, Easy Rider. The Post Ranch Inn, an old ranch which was the homestead of W.B. Post in the 19th century, is still owned and run by the Post family. By the way, the Post Ranch Inn has a portfolio of Ansel Adams limited edition signed prints on display. Accommodation is much cheaper and plentiful at either end of Highway One (as well as kid friendly). 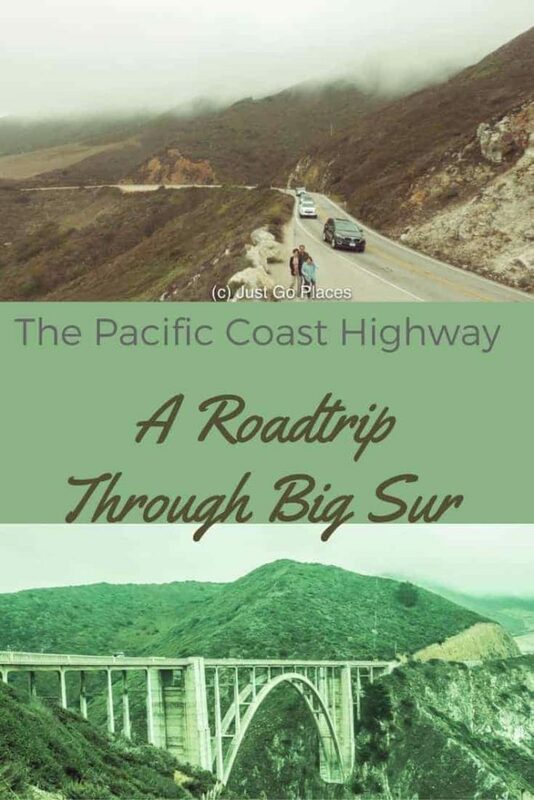 We bookended our Pacific Coast Highway road trip through Big Sur by staying at the Monterey Bay Plaza and Spa Hotel at one end of the drive and then Auto Aircamp in sunny Santa Barbara at the other end. After all the mist and cool weather of the central coast of California, we were really glad for some sunshine. This article contains affiliate links. You will not be charged any extra for clicking on these links. Santa Barbara prides itself on being the California Riviera (so much so that its trademarked the slogan). A Riviera anywhere in the world conjures up images of beachside affluence and glamour. When you think of contemporary cool, you think of Brooklyn. What do you get when you mix the Riviera and Brooklyn? 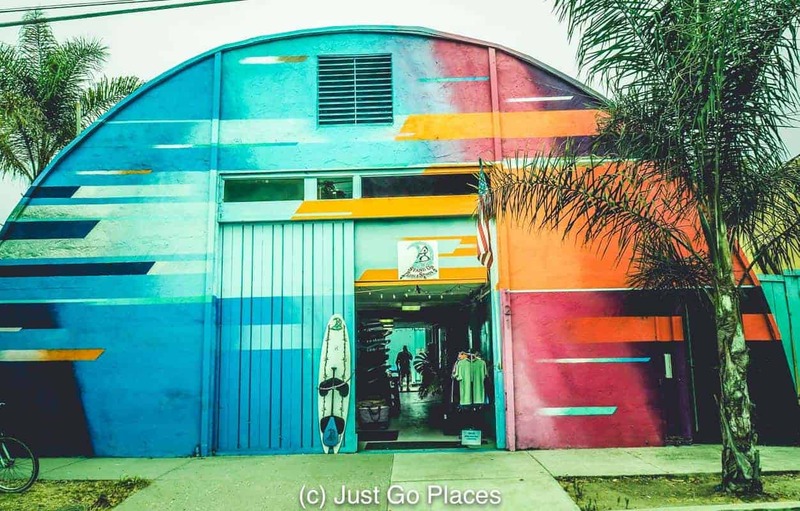 Something that is uniquely Santa Barbara – wine tasting rooms, street art and warehouse conversions that add a bit of gritty urban edge to this relaxed coastal city. Contemporary cool radiates out of the Funk Zone in Santa Barbara. 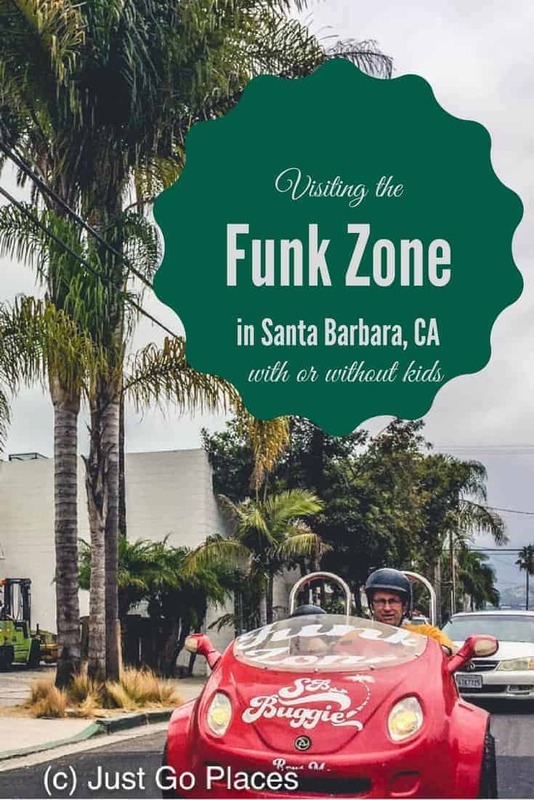 Where is the Funk Zone in Santa Barbara? 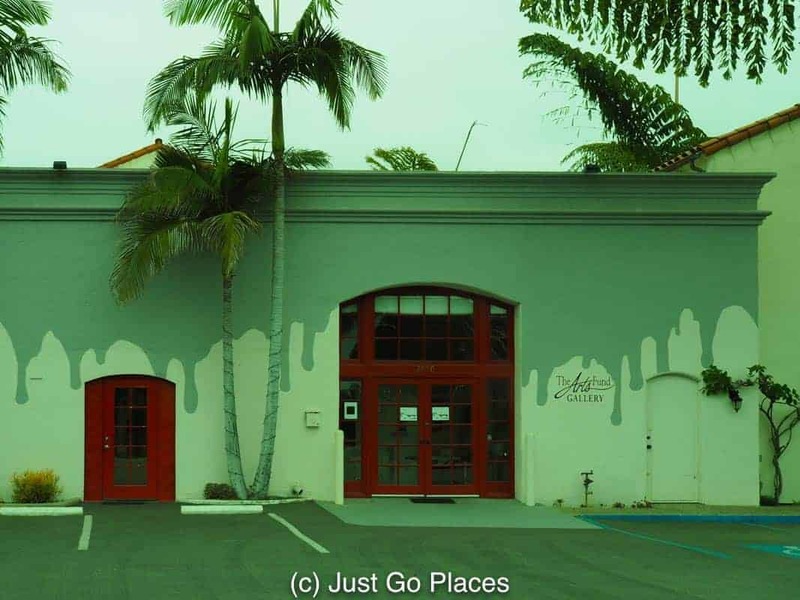 The Funk Zone district is wedged between the Pacific Ocean, Highway 101 and the Santa Barbara Amtrak Station. The perimeter streets of the area are State, Cabrillo, Garden and Montecito. It is a short distance to the well-touristed Stearns Wharf area. In historical times, this neighbourhood held the manufacturing and marine industries in the area. In that respect, it is similar to Cannery Row in Monterey. 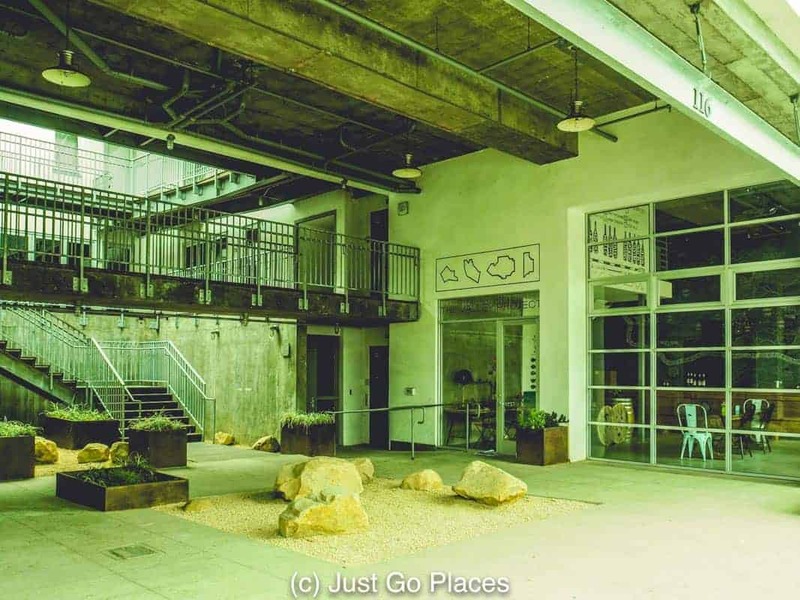 Since the late 1980’s the area’s warehouses have been taken over by artists and alternative businesses. You can see more Tolix chairs in this warehouse conversion cafe. Fear not, hipsters, the funk in the Funk Zone refers not to anything smelling funky but rather the funky quirkiness of the area. Possibly in ages past it did smell funky with all the manufacturing and the fish nearby. 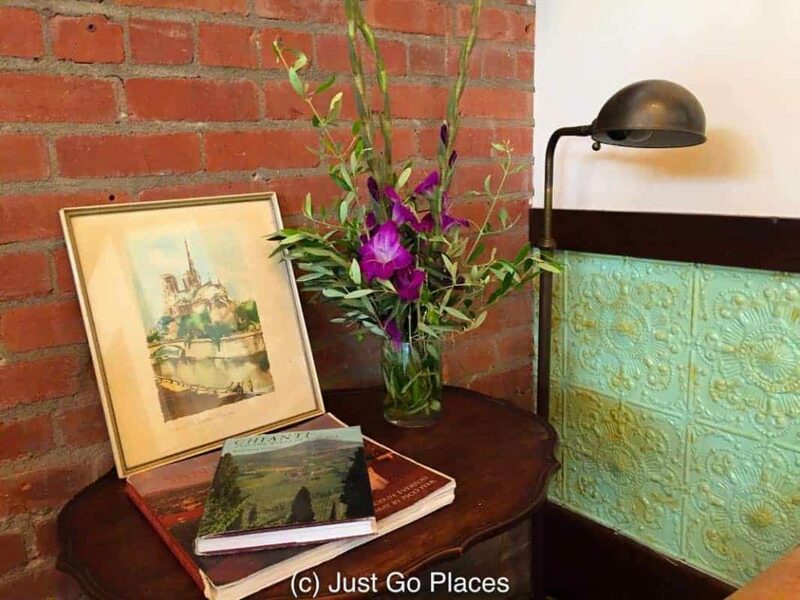 Exposed brick wall, tin tiles, industrial lighting & vintage print. An A+ tablescape from the Brooklyn School of Interior Design. The Santa Barbara Surfing Museum is dedicated to the sport of surfing. 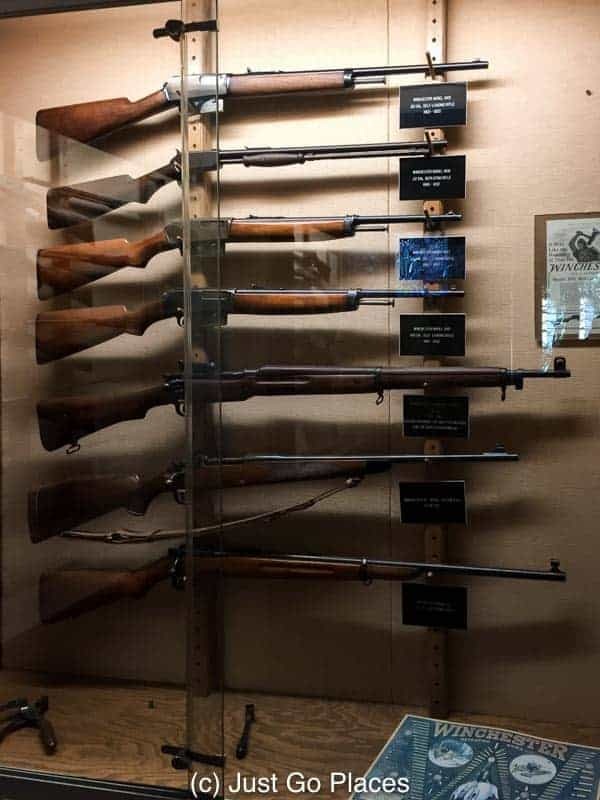 Keep in mind that they are only open for a few hours on Sunday though. Keeping regular hours doesn’t really gel with the whole Hang 10 lifestyle. 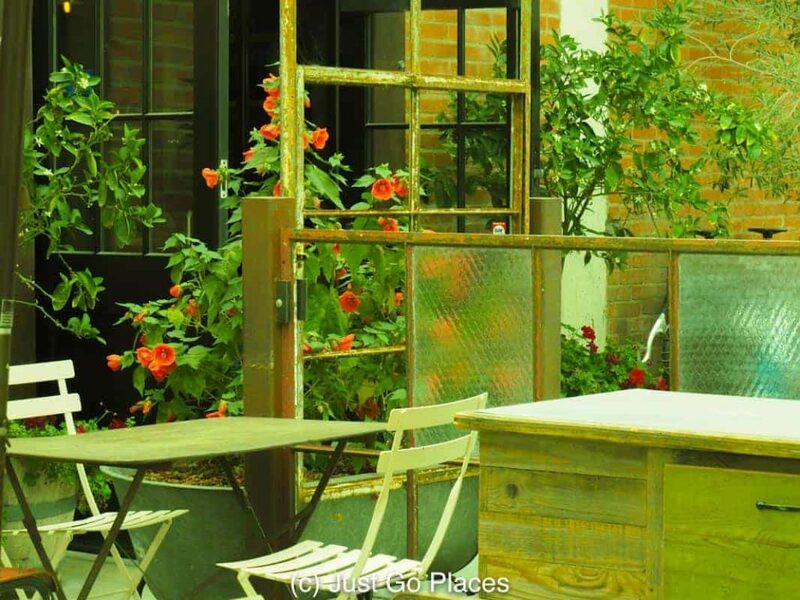 The Urban Wine Trail takes you around 20+ wine tasting rooms for local vineyards. Many of the tasting rooms are in the Funk Zone district. 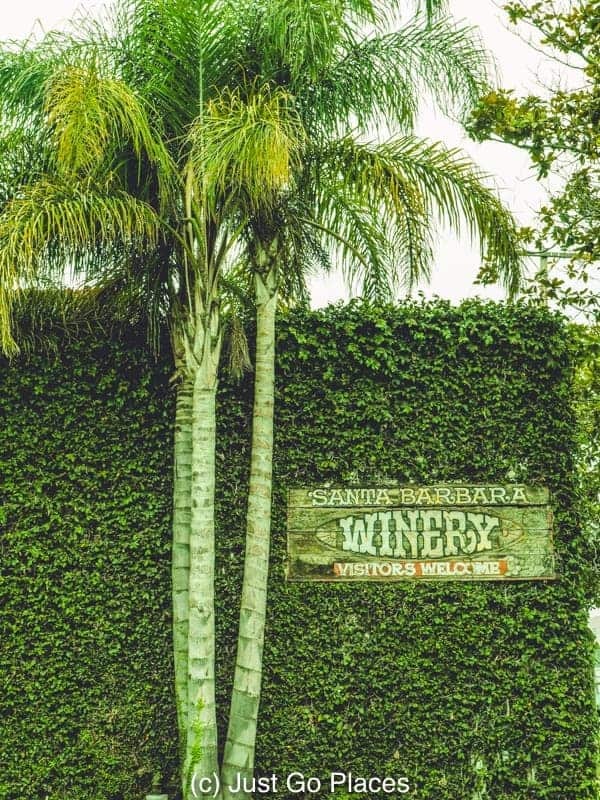 Santa Barbara Winery (established in 1962) was around long before Funk Zone got trendy. The Arts Fund is a community gallery exhibiting local emerging talent, including teen artists. 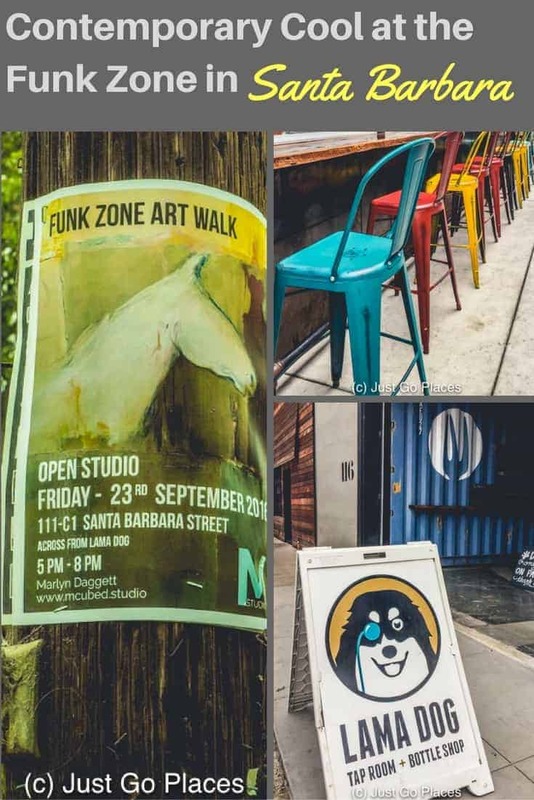 There is a Funk Zone Art Walk every Friday evening from 5-8 pm where the galleries stay open for visitors. I love the dripping paint exterior of this arts community centre. 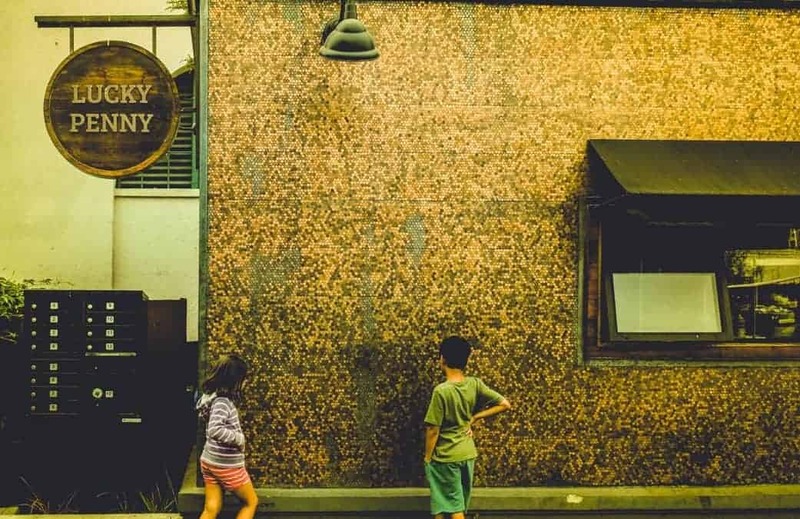 For casual fare, the Lucky Penny has salads and sandwiches as well as excellent coffee. The Lark is a bit more fancy with its farm-to-table dining ethos. 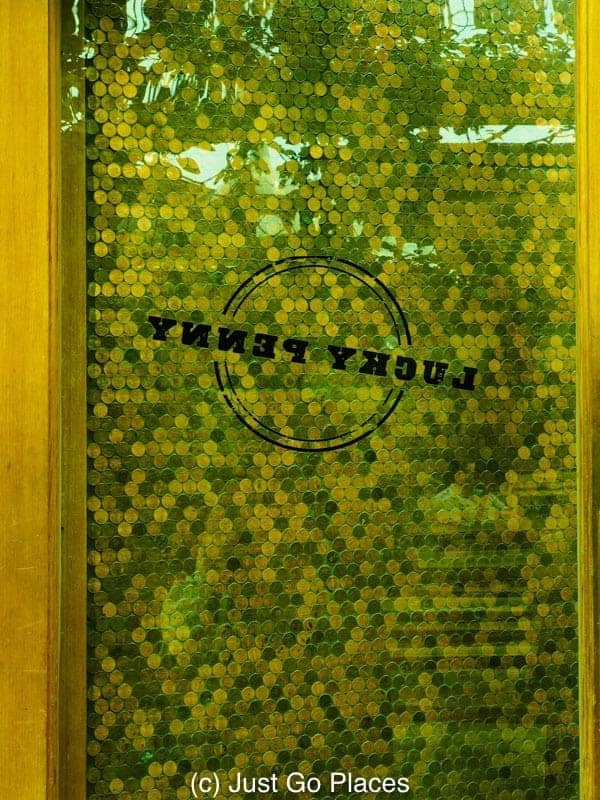 The Lucky Penny cafe is covered in pennies. 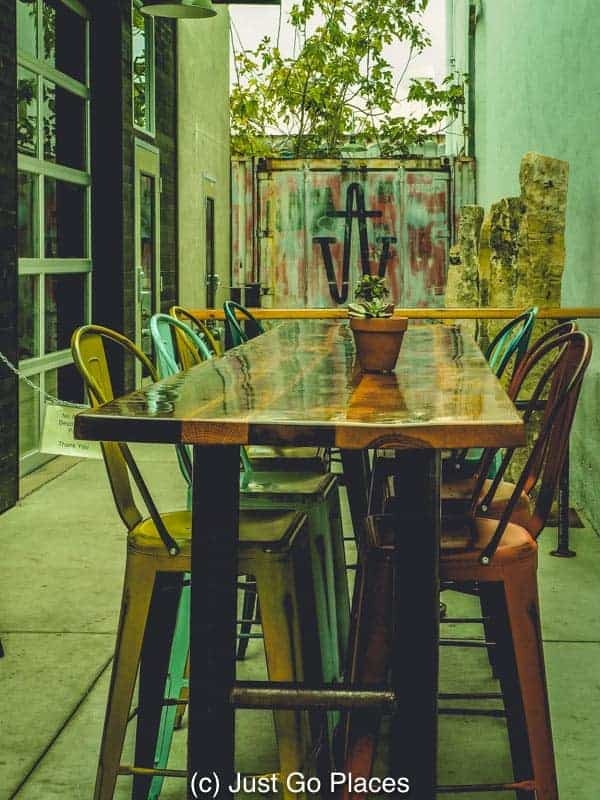 Mixed color Tolix chairs go with the industrial vintage vibe. There are so many wine tasting rooms, bars etc. that it would be criminal not to keep these enterprises afloat. If you are a beer lover, there’s locally brewed craft beer at the Figueroa Mountain Brewing Company. For cycling fun of both the two wheel and the four wheel surrey kind, check out Wheel Fun Rentals. We had done the silly surrey in Monterey though and were ready for something more epic. Unfortunately, the kids still aren’t tall enough for Segways (available from Segway of Santa Barbara). 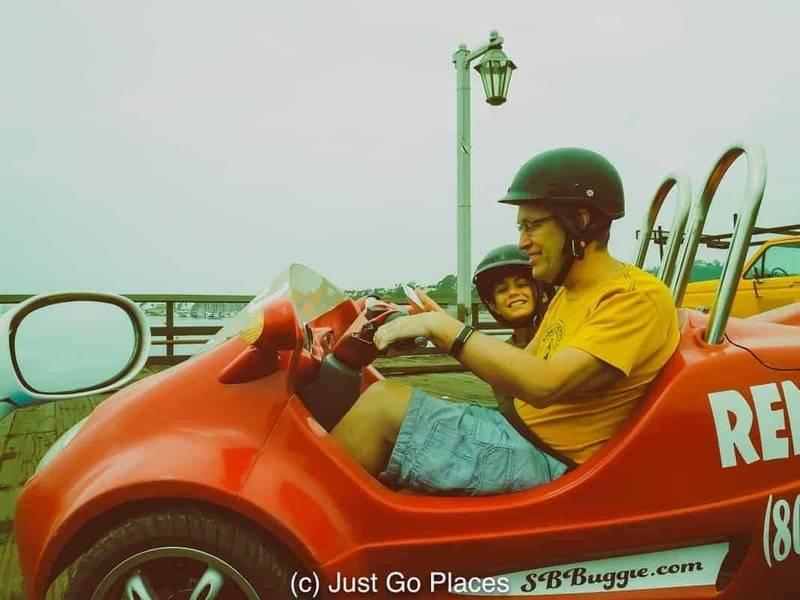 Caving into the kids’ pleas, we decided to test the limits of California road safety with a three-wheeled SB Buggie. Basically it is a two seater scooter that putters along on regular roads with the minimum of steering and ignition. If you want to turn you need to do a really wide turn and hope no one is coming fast towards you. There’s no reverse function either. It is a lot of fun though once you get used to it. We looked silly but we had a lot of fun. There’s plenty of shopping available in the area from the random touristy stuff to the more avant-garde stuff. Our favourite shopping was in a truck parked on the street. 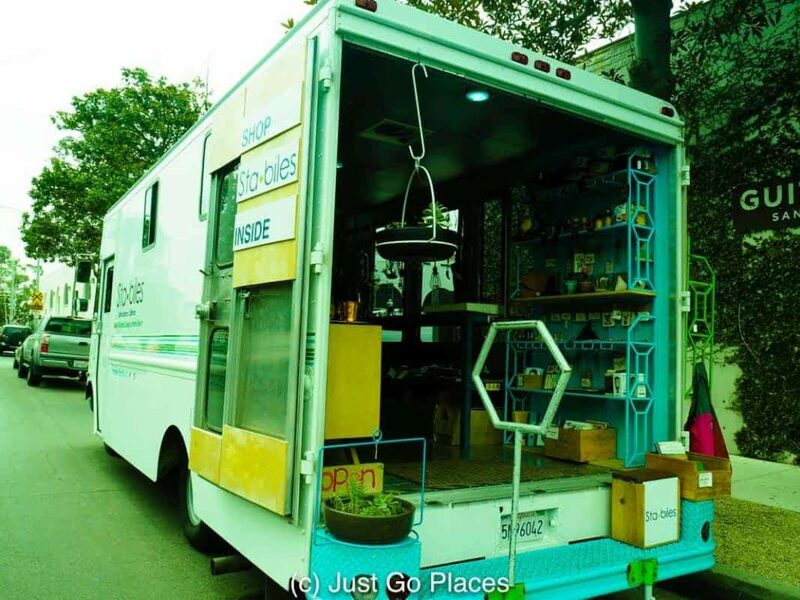 Technically Stabiles calls itself a mobile boutique (not a shopping truck) that sells artisanal goods. We bought a tillandsia (an air plant) that sits on its own artisanal stand (excuse me, sculpture). A shopping truck selling home accessories. 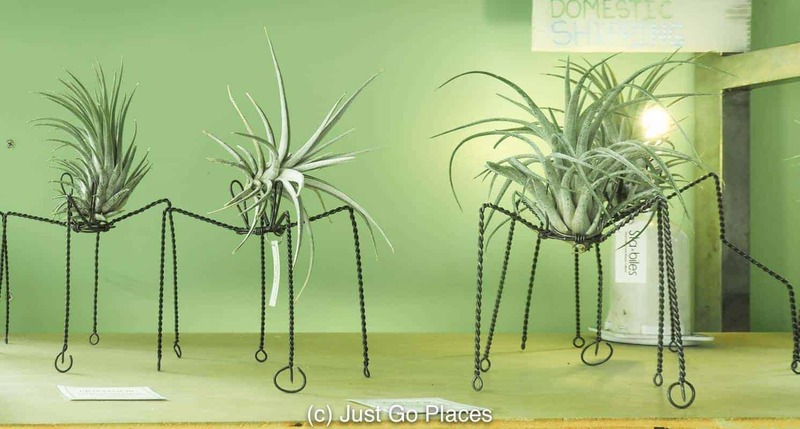 Air plant sculptures done by local artist, Sam Guzman. Loved it so much, I bought one. For other things to do, check out the Funk Zone website for the latest happenings. Spending the day here is an enjoyable alternative to the white bread affluence of the rest of Santa Barbara (with or without kids). It’s much easier to show you the contemporary cool that is the Funk Zone rather than to explain it in words. 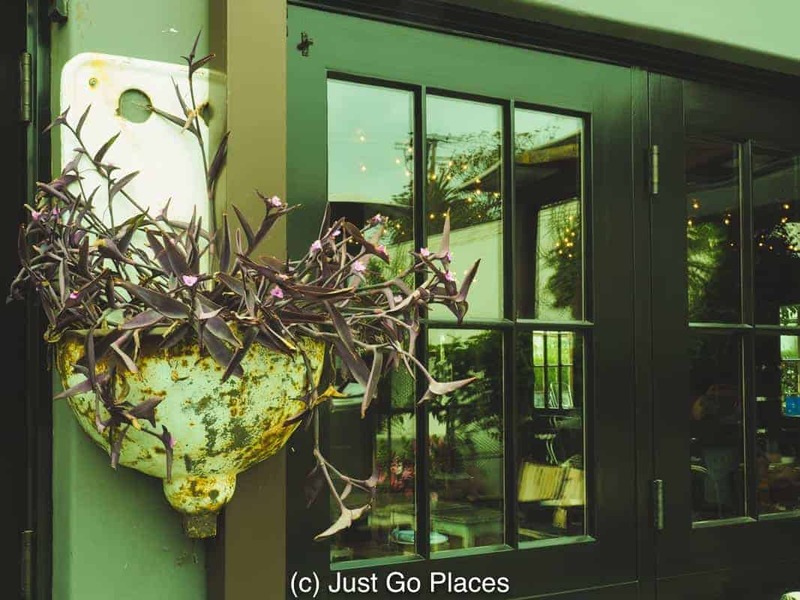 Industrial paraphernalia used as planters. 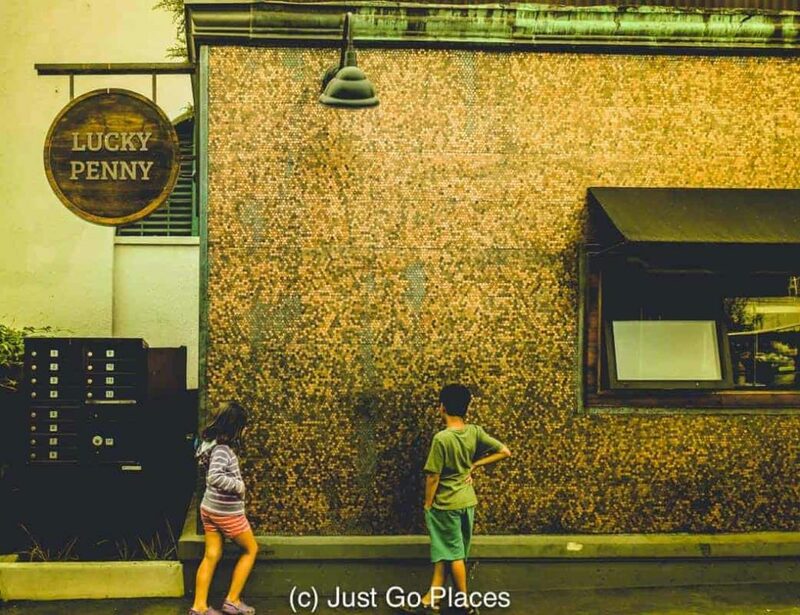 My kids were fascinated with the Lucky Penny’s penny coins exterior. I could wile away the time with a glass or two of wine here. I love the use of old vintage windows as partitions. A whole store devoted to stand up paddle boards. 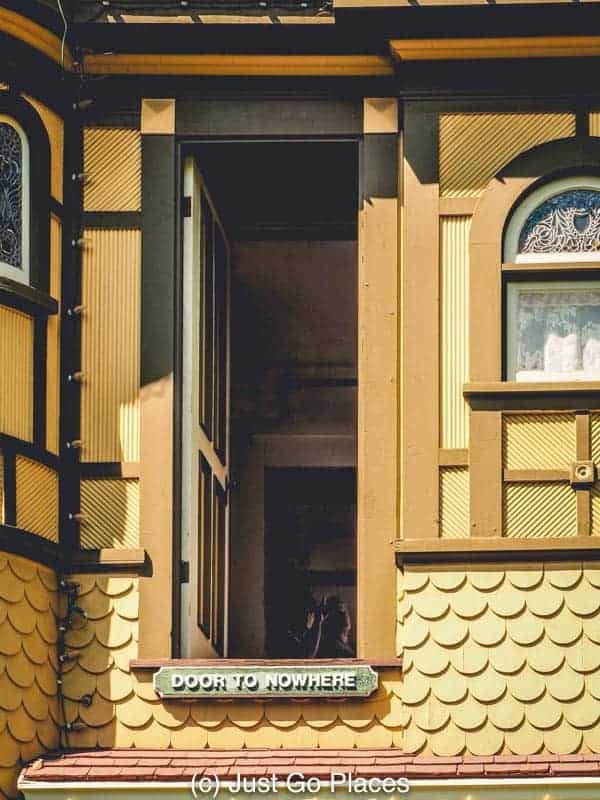 There are a couple of hotels in the Funk Zone in Santa Barbara, including Hotel Indigo (an eco-friendly boutique hotel) and the Harbor View Inn (across the street from the beach). In keeping with our search for vintage coolness, we stayed at AutoCamp Santa Barbara which has restored vintage Airstreams available to hire similar to a hotel room. Our Airstream was adorable with a tiny kitchen, tinier bathroom and flat-screen TV. We had a double bed for ourselves and a pull out double bed for the children. 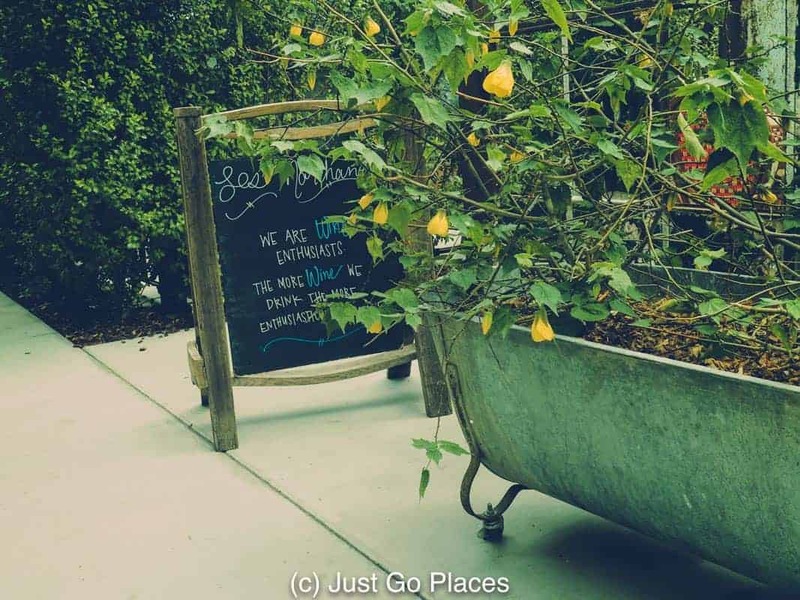 Outside the Airstream, there is a little patio area with a gas grill, a couple of Adirondack chairs and two adult bicycles for your use. Autocamp Santa Barbara rents out restored vintage Airstreams for tourists. 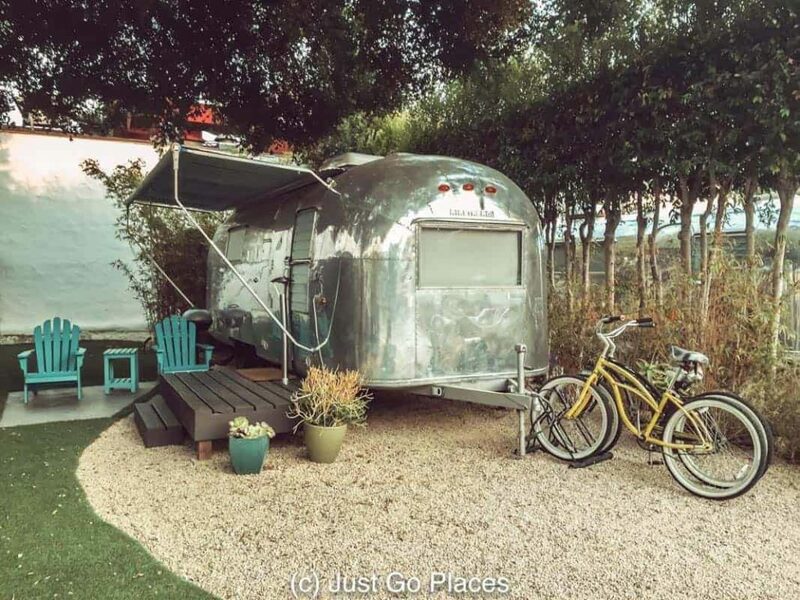 AutoCamp Santa Barbara has its 6 Airstreams located at one edge of a regular trailer park. I wondered what the families who live in the rest of the trailer park make of the steady stream of tourists who use AutoCamp. The Airstreams were all in use when we used AutoCamp. The family next door to us were tourists from London too. They were bemoaning how crazy expensive the USA was because the value of the British pound has plummeted thanks to Brexit. Our kids absolutely loved the Airstream. My husband and I felt we were sandwiched in a sardine can. I preferred the Bacara Resort and Spa which is where we stayed last time we were in Santa Barbara. It’s got a great spa, pools, beach access and nice views of the oil rigs off the California coast. The Airstream was a fun experience but really it’s not my thing. This article contains affiliate links. You will not be charged anything extra for clicking on these links. 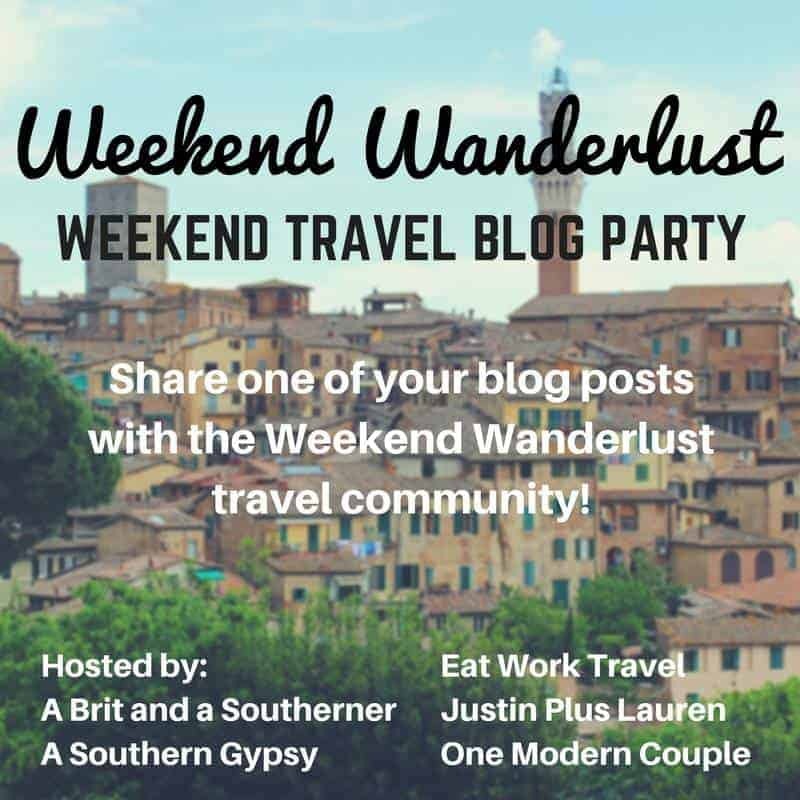 This article is linked up with City Tripping.